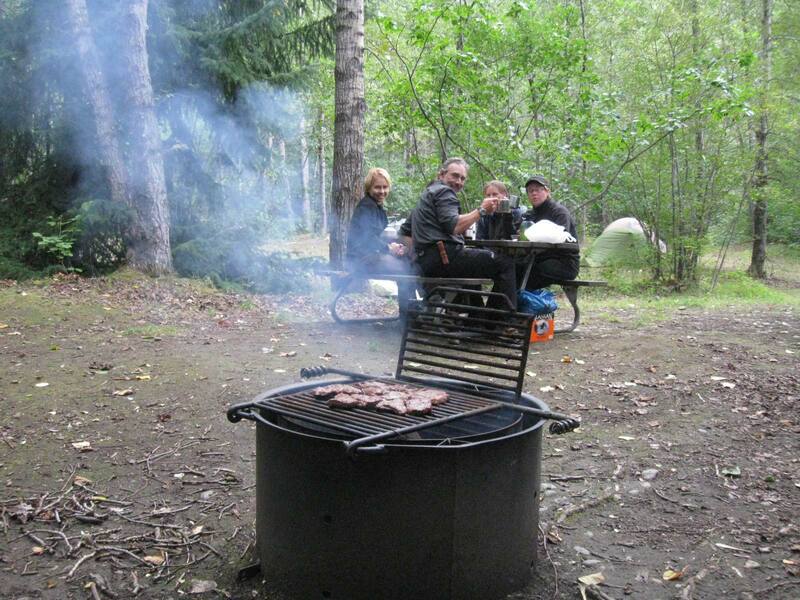 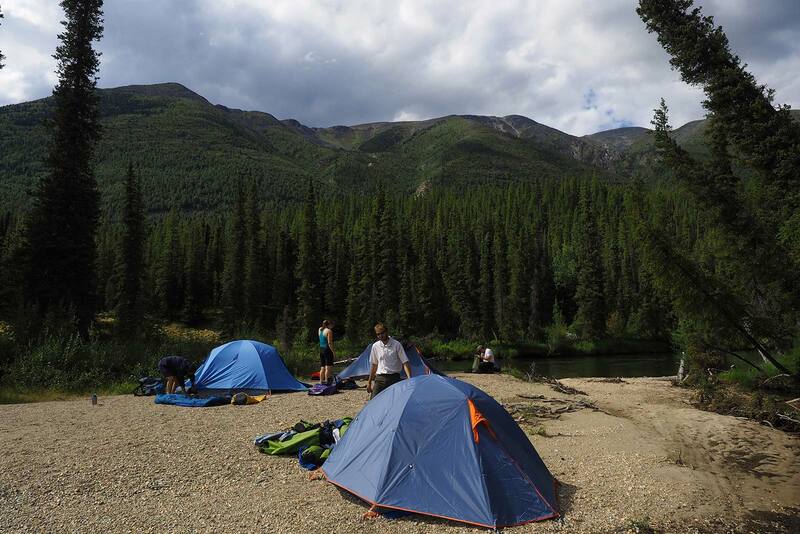 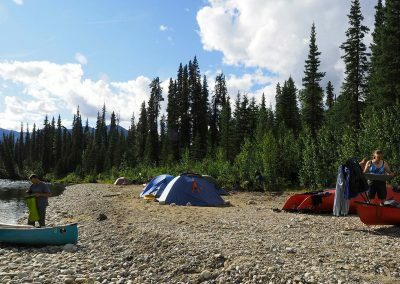 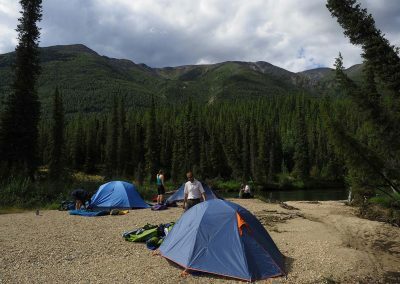 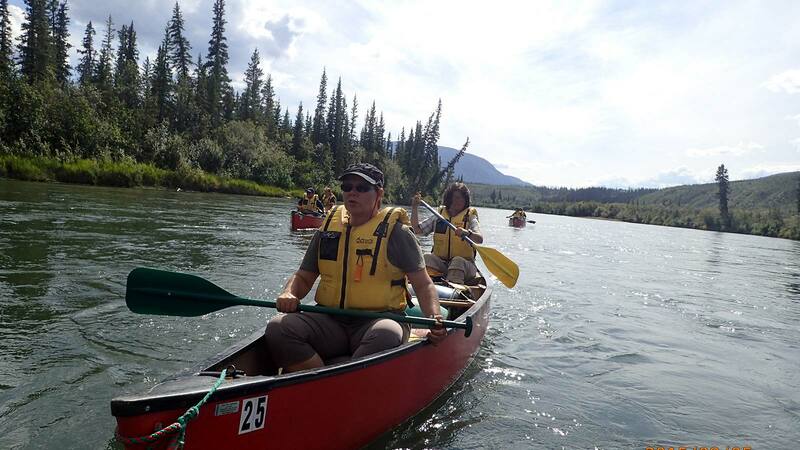 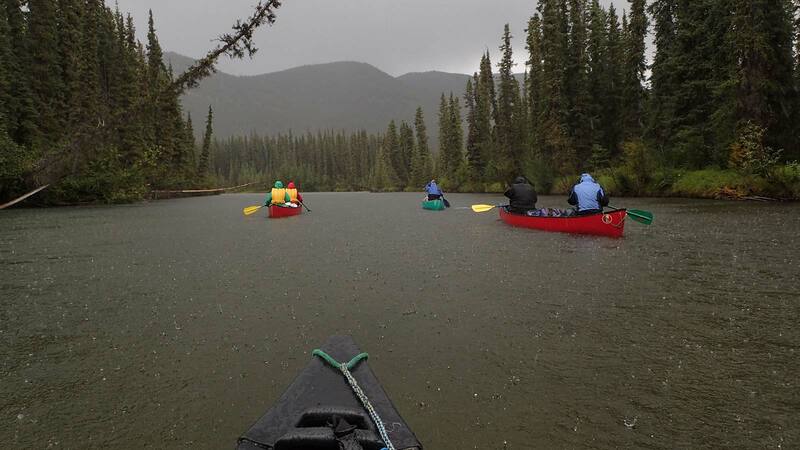 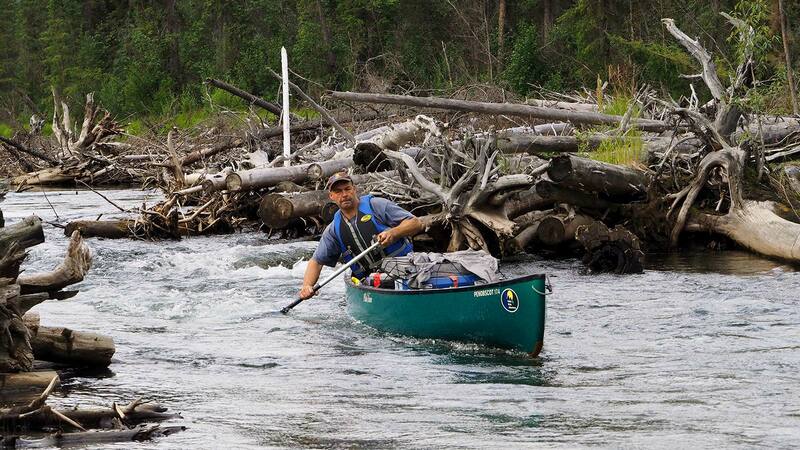 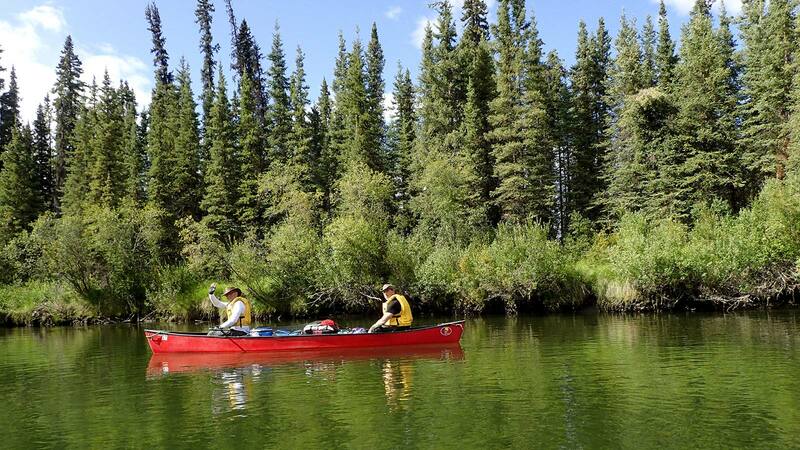 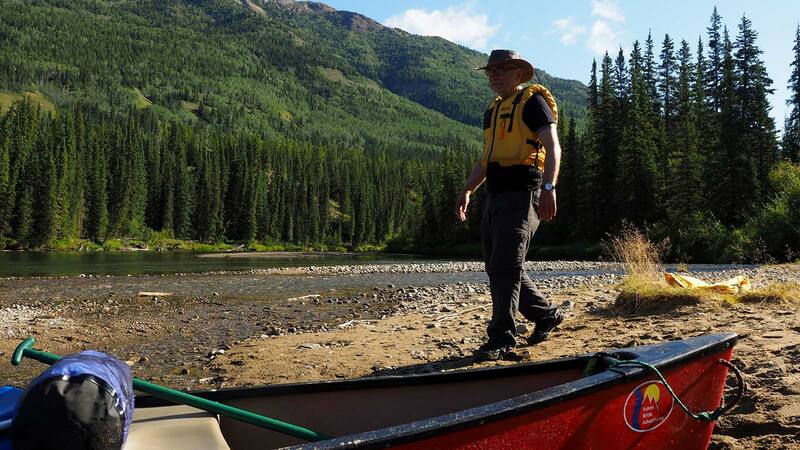 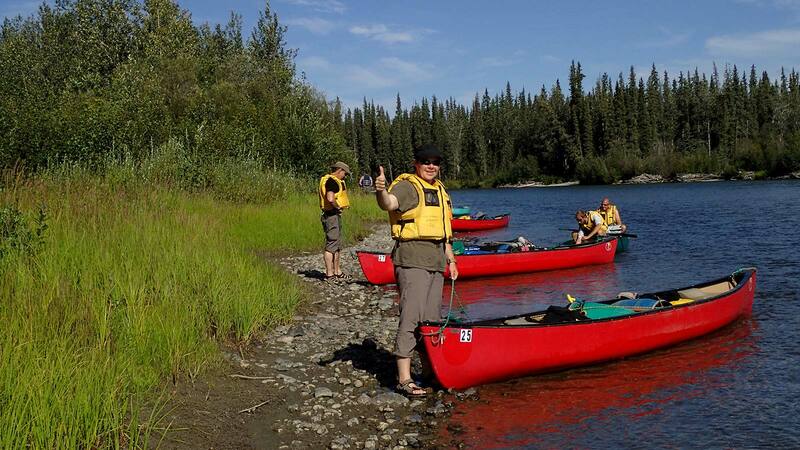 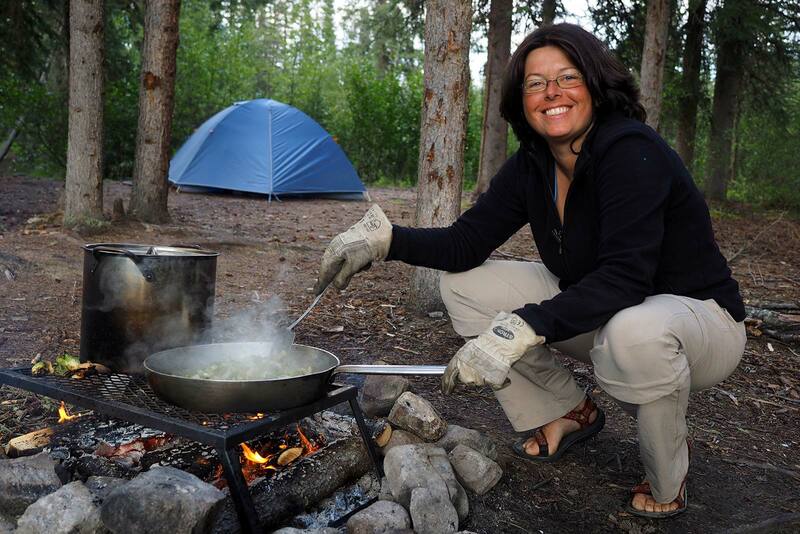 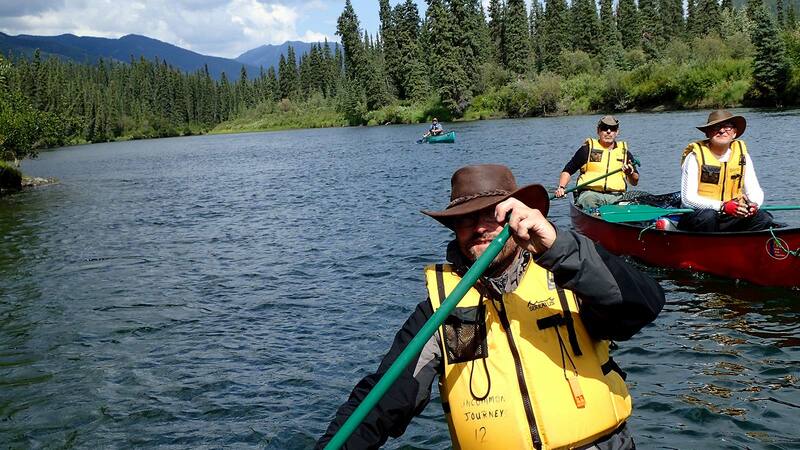 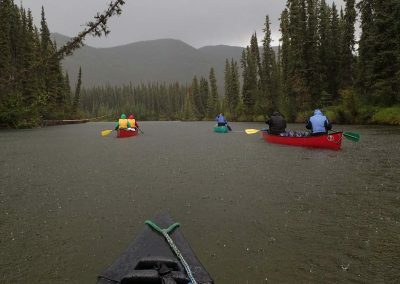 Canoe trip on the Big Salmon River in combination with a trekking tour on the Chilkoot Trail. 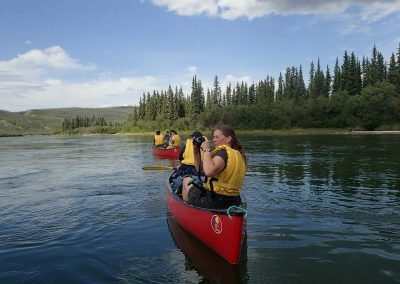 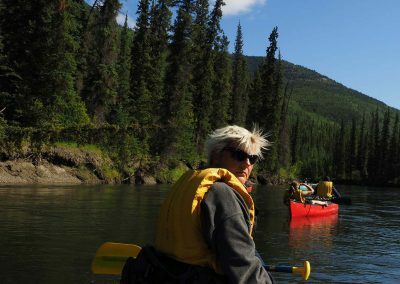 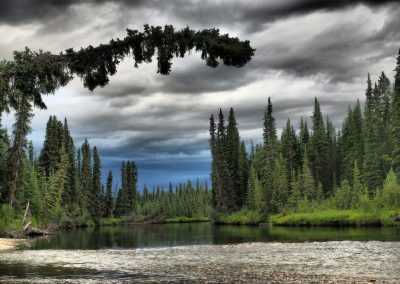 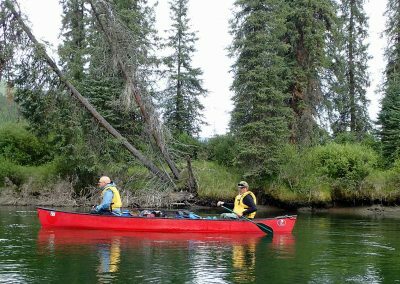 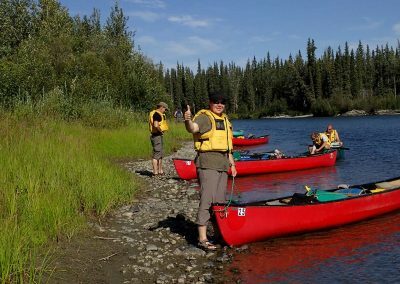 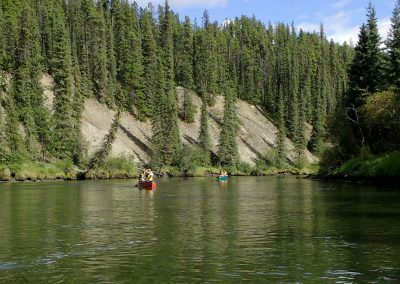 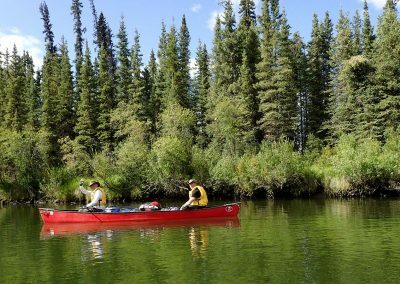 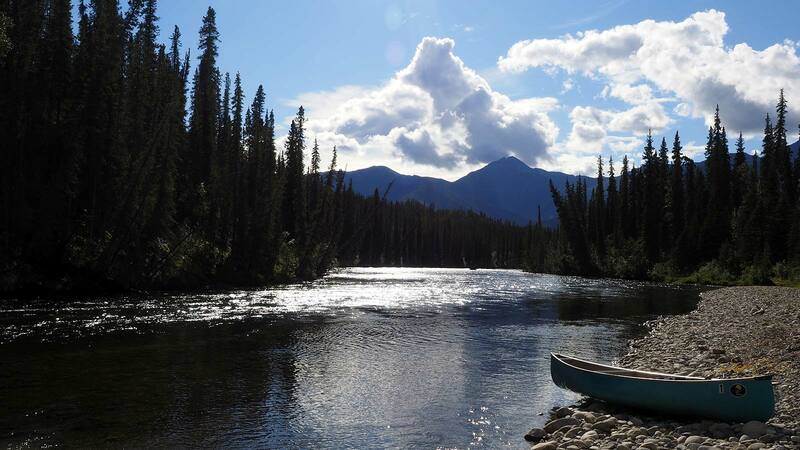 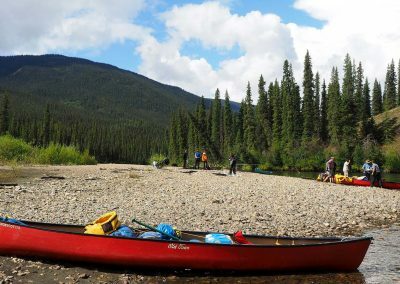 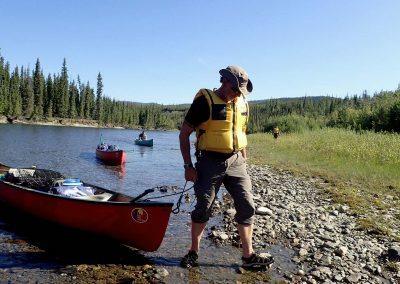 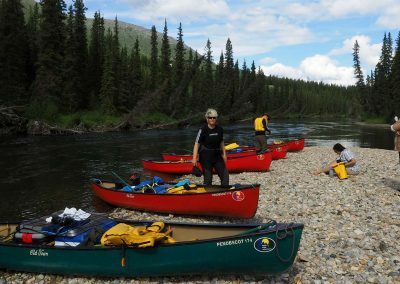 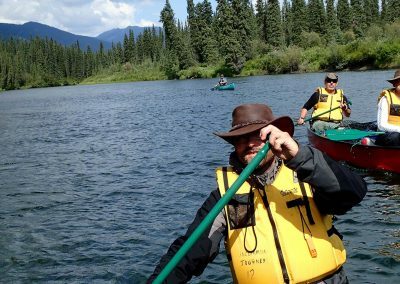 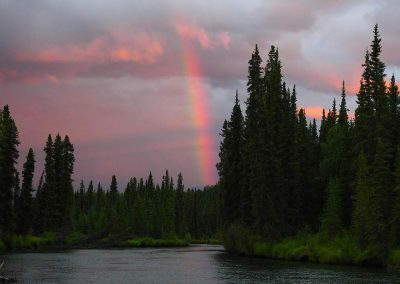 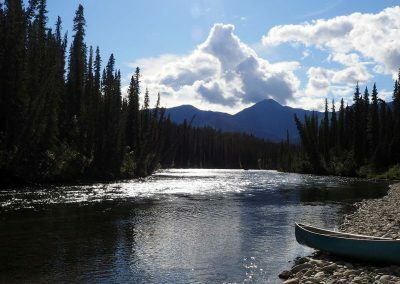 We begin our Yukon challenge with a canoe trip on one of the most beautiful wilderness rivers in the Yukon Territory, the Big Salmon River. 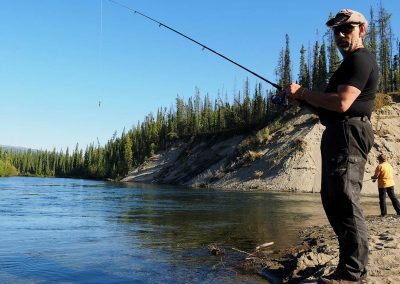 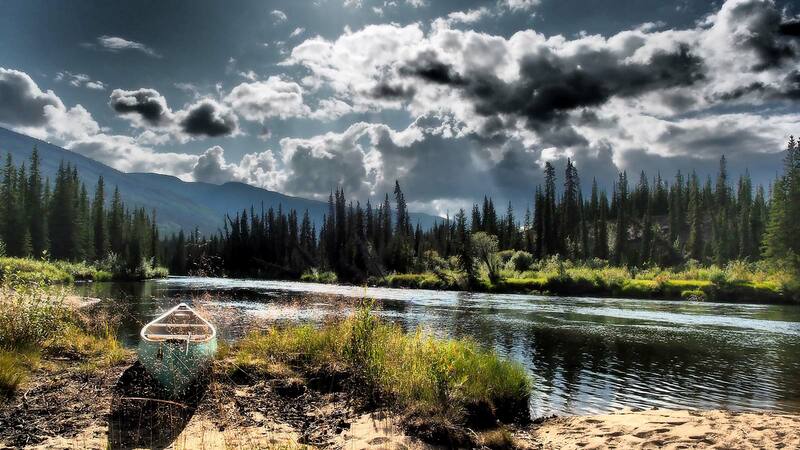 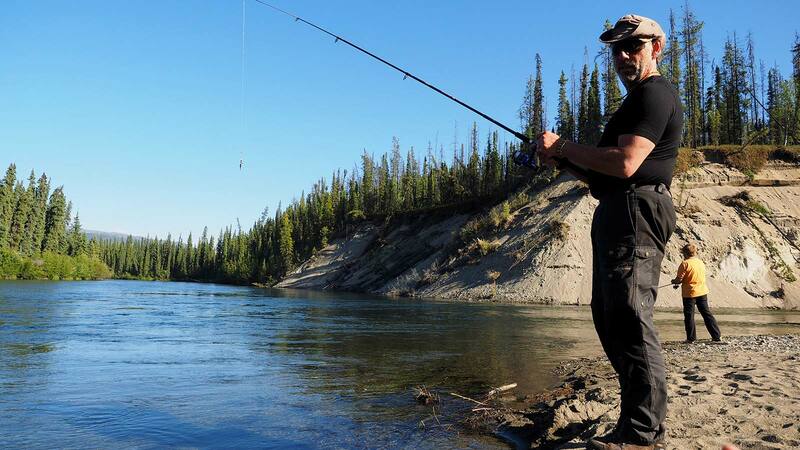 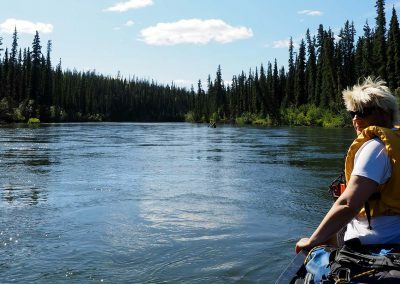 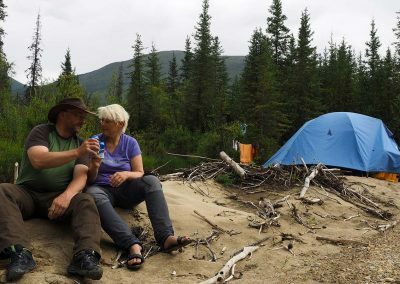 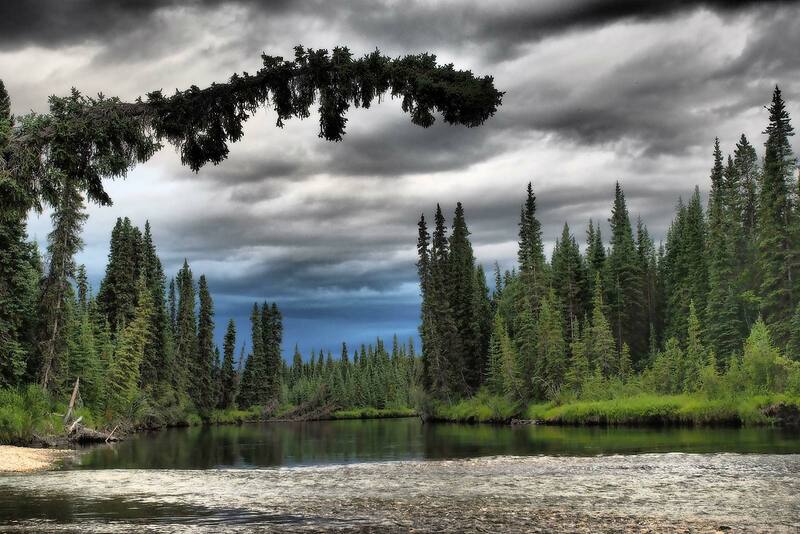 Nestled amongst the Pelly Mountains and the Big Salmon Range, the narrow river winds its way through one of the most charming landscapes of the Yukon Territory, until it empties into the Yukon River close to the town of Carmacks. 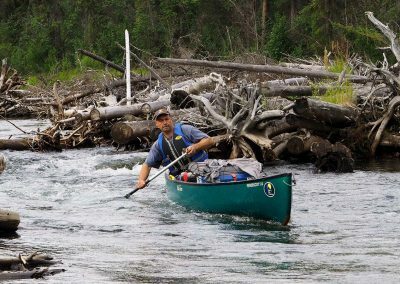 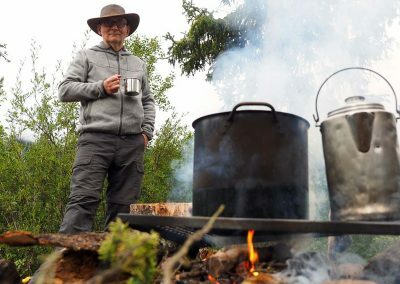 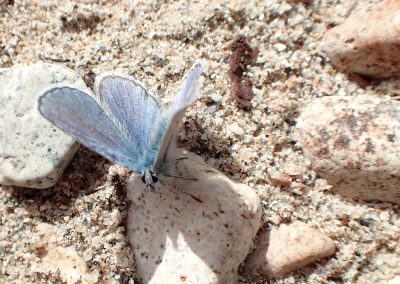 The Big Salmon River holds many surprises for wilderness enthusiasts and experienced canoeists alike. 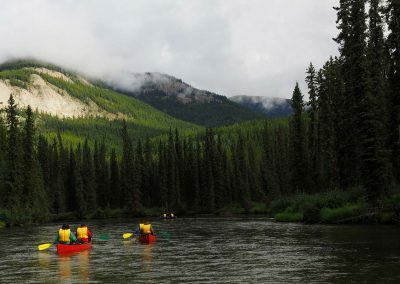 Accompaid by our experienced guides, even canoe-novices can master this river with its natural challenges like sweepers and fast moving water. 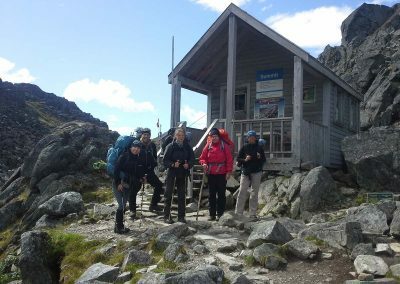 After a day off in Whitehorse, tour participants will be shuttled to the US border, where they board the historic train over the White Pass to Skagway. 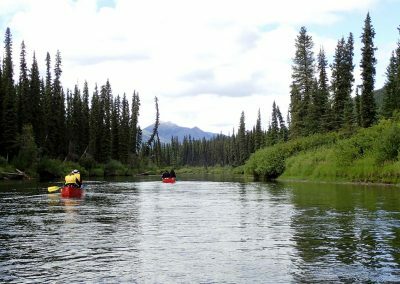 Within a few hours, travellers experiences multiple eco-zones: alpine meadows, boreal forests, and coastal rainforests. 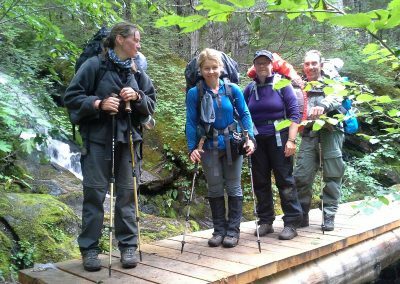 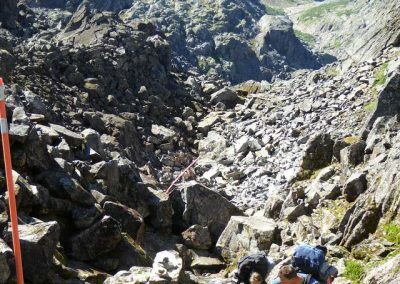 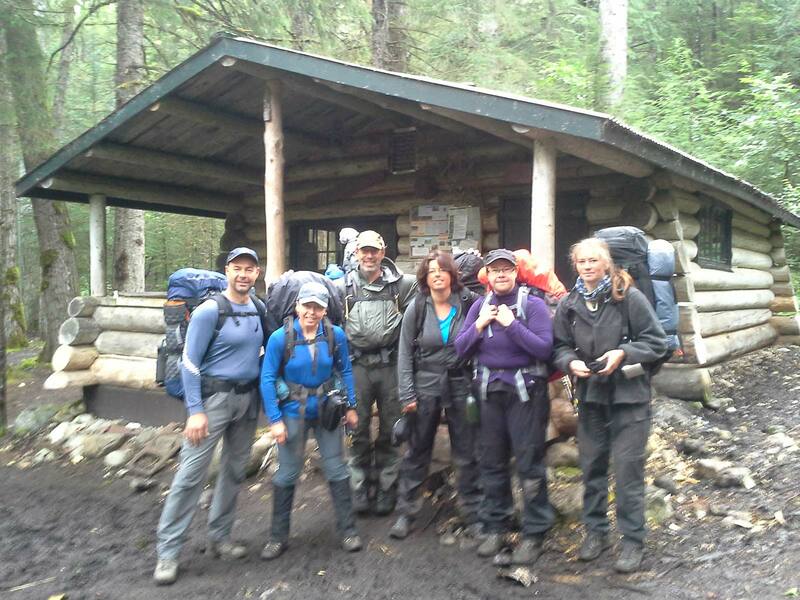 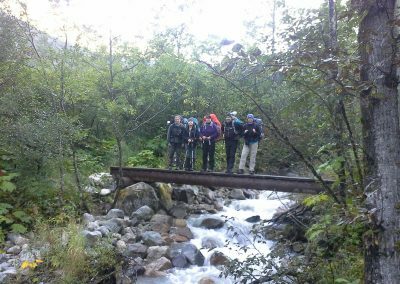 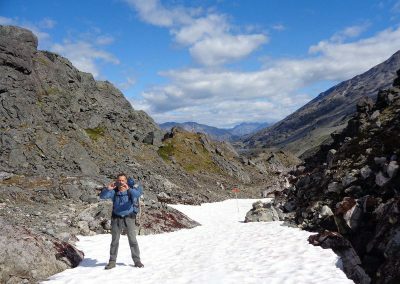 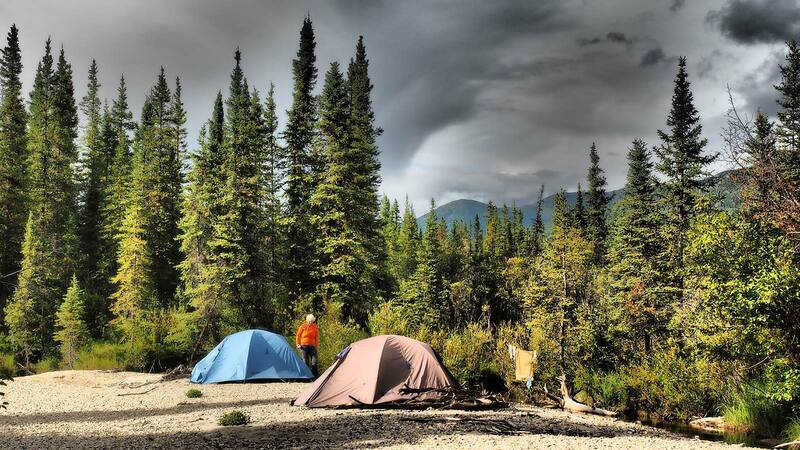 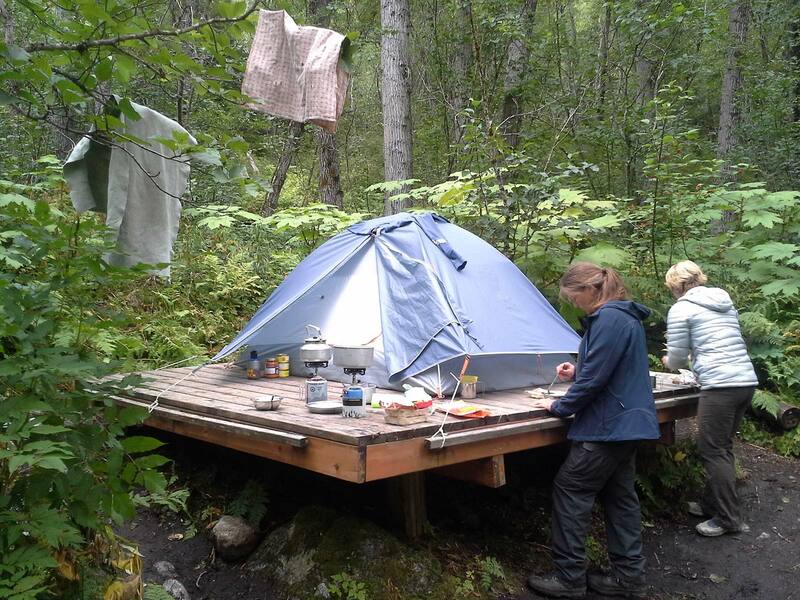 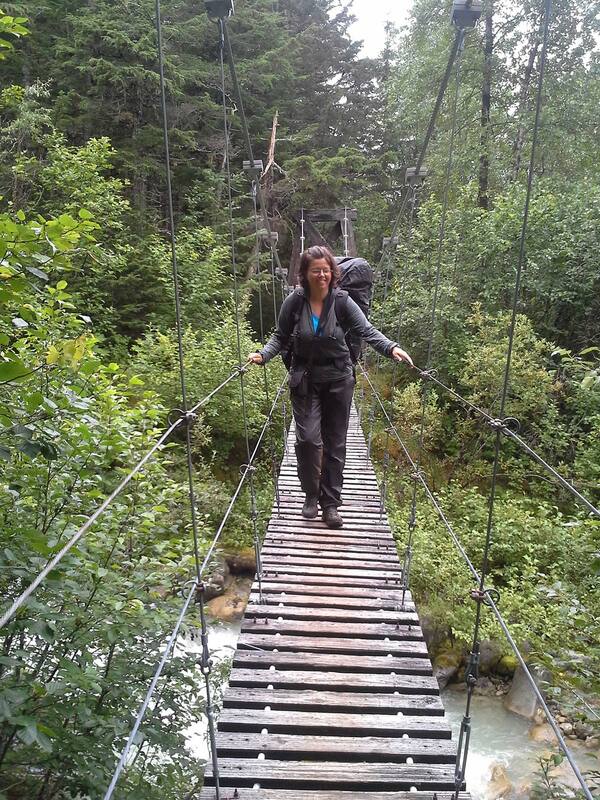 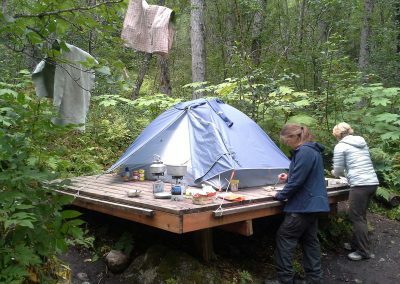 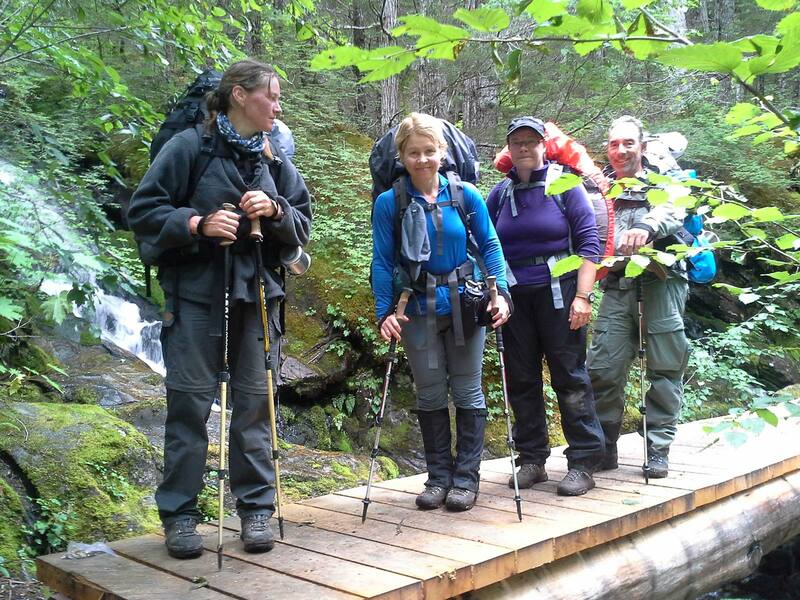 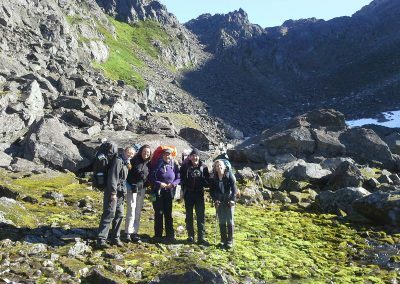 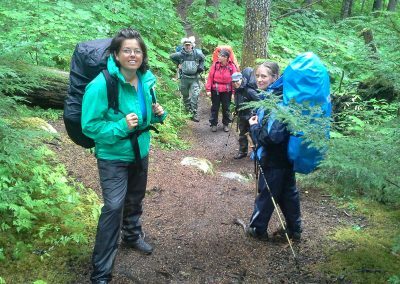 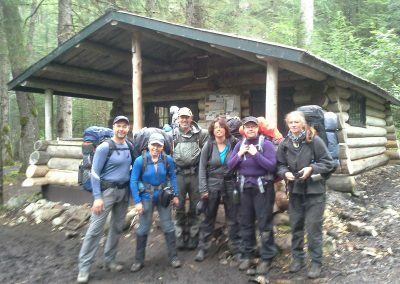 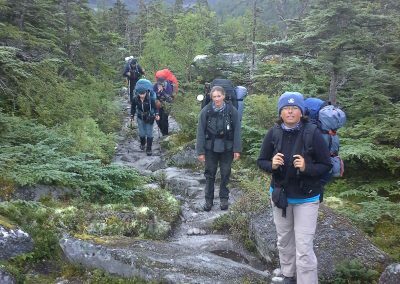 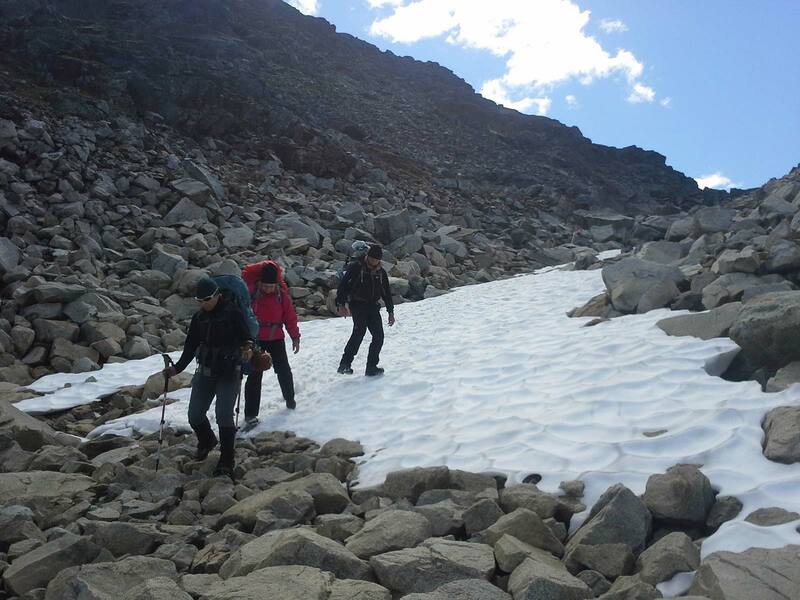 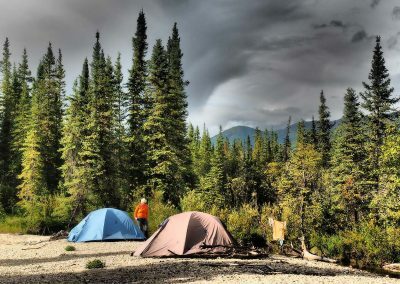 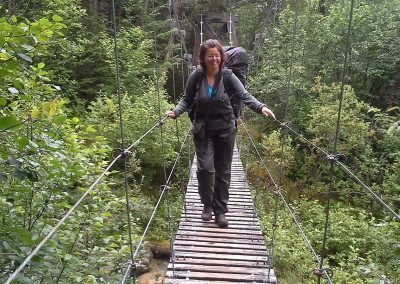 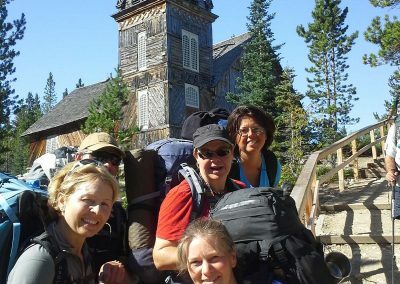 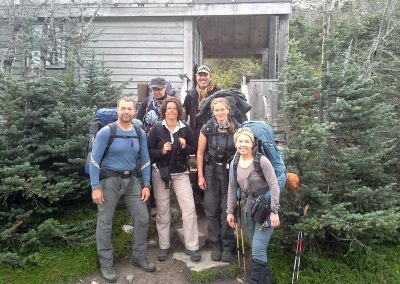 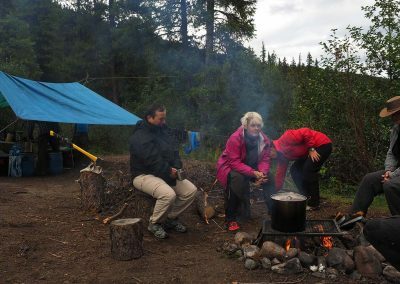 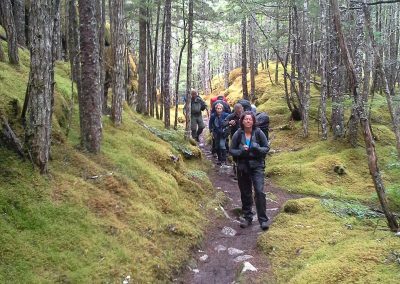 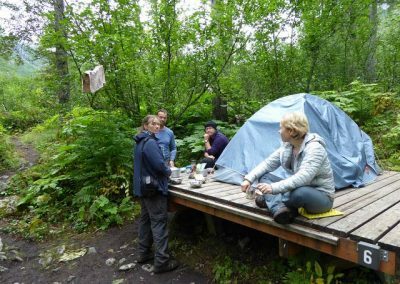 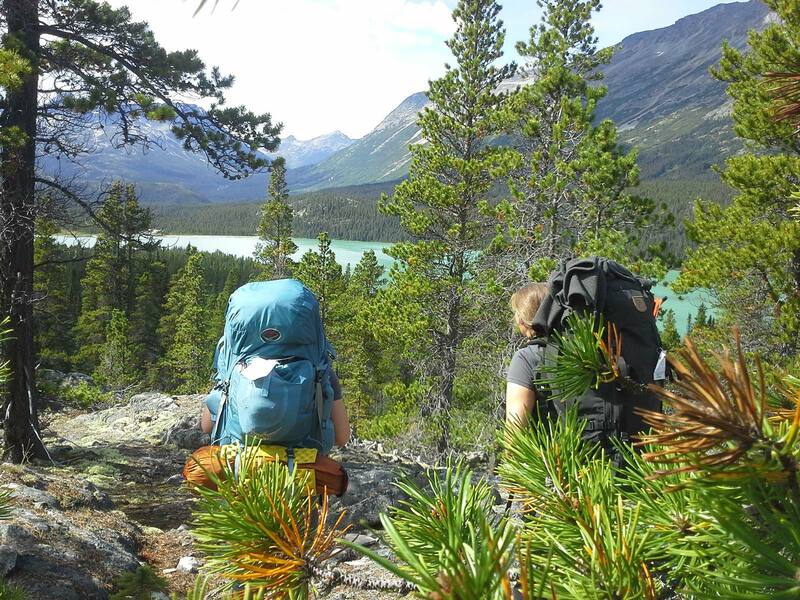 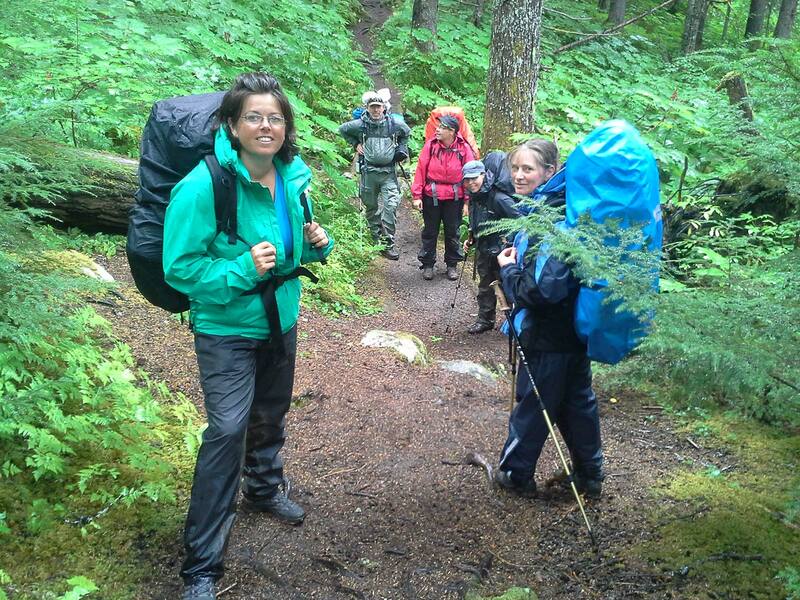 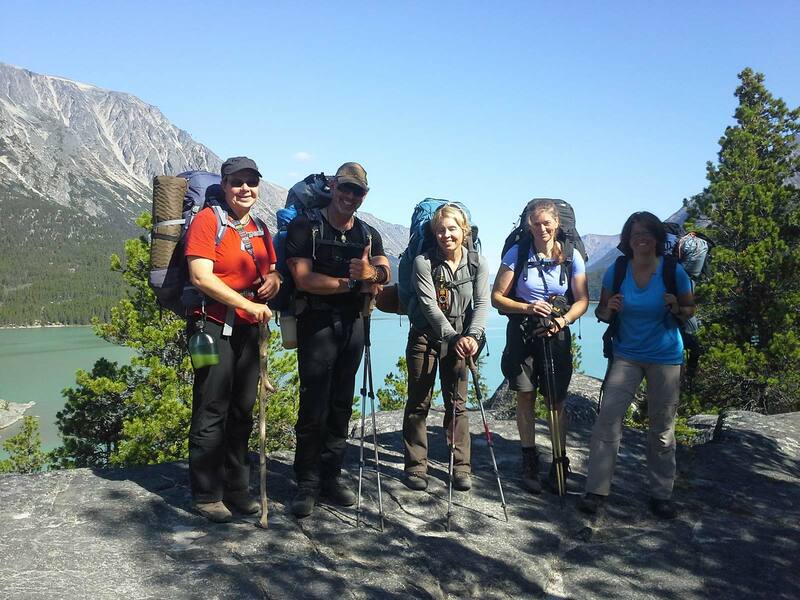 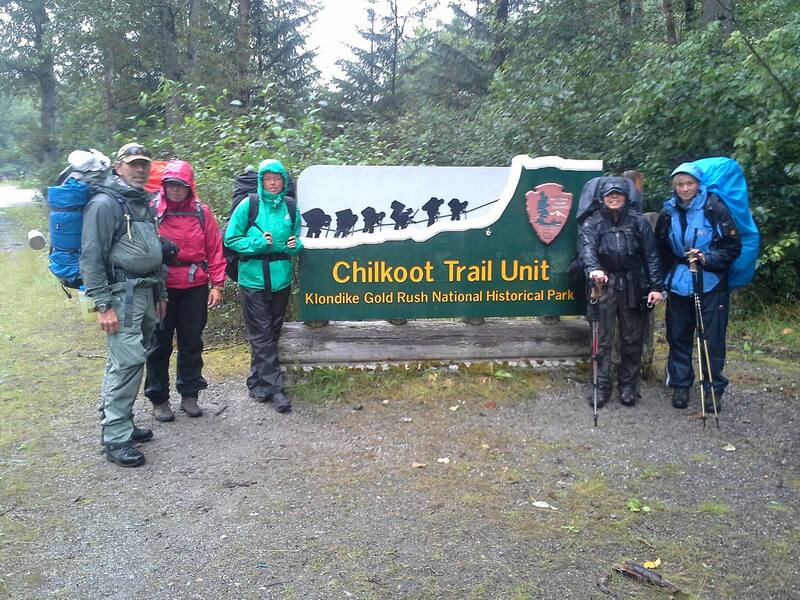 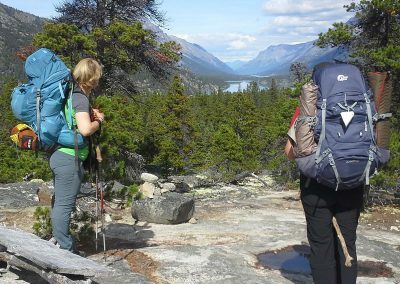 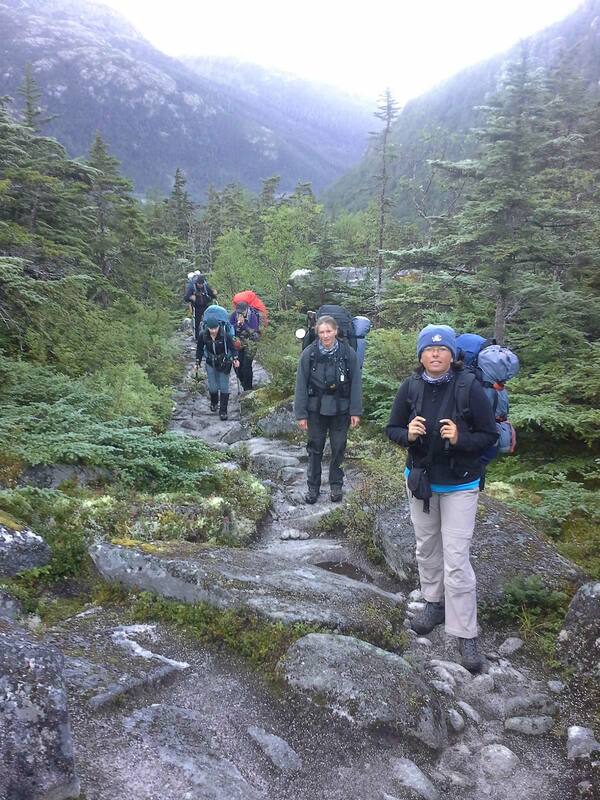 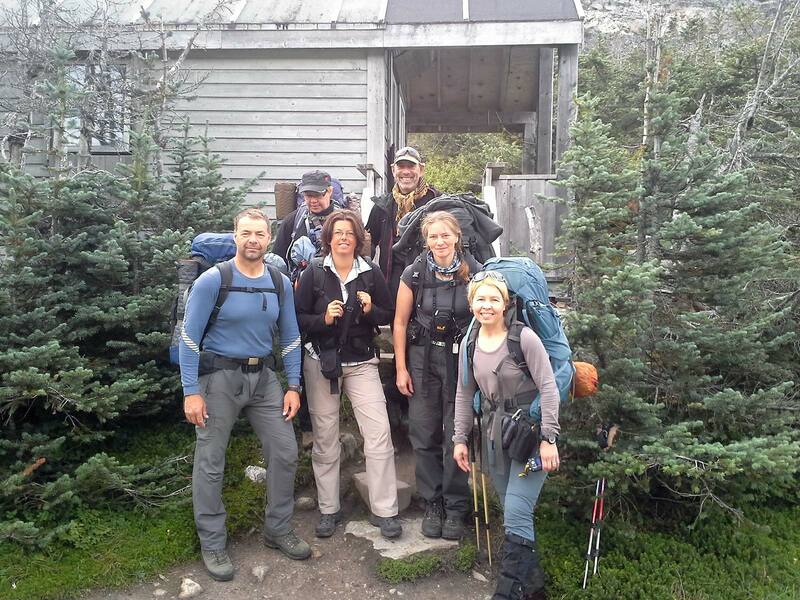 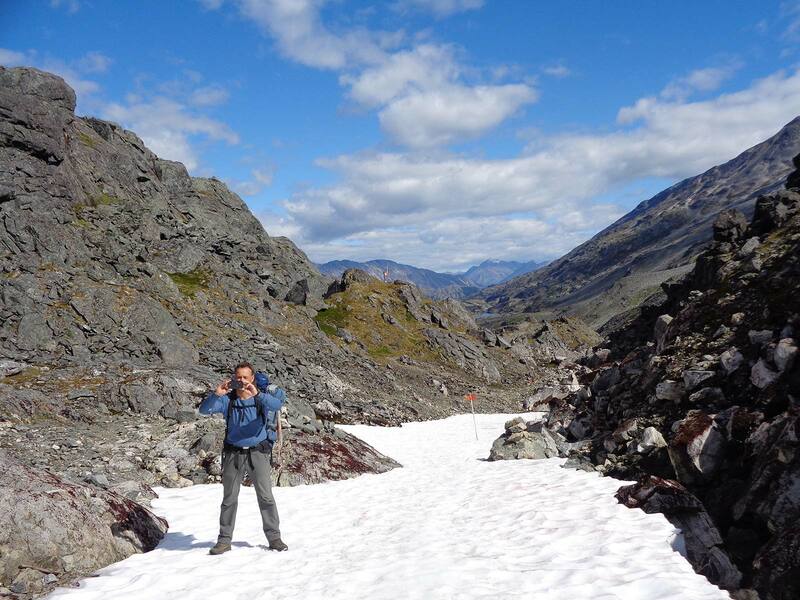 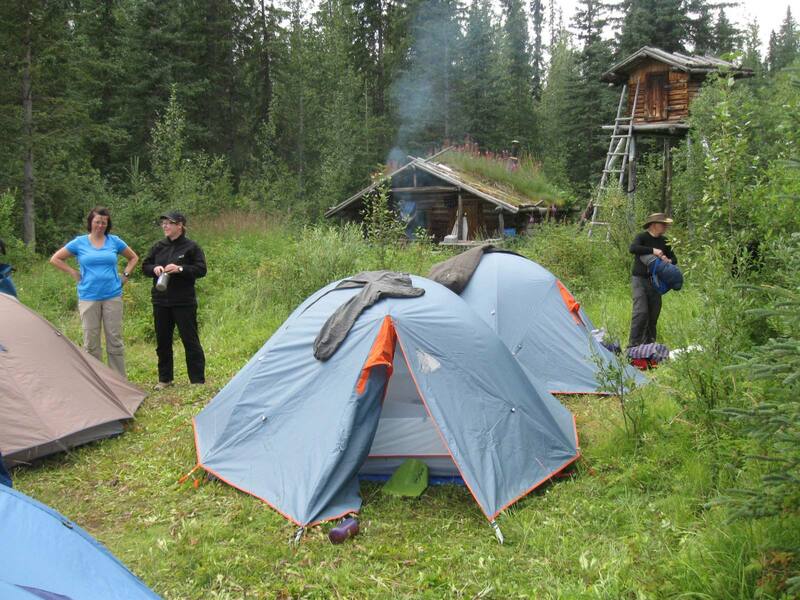 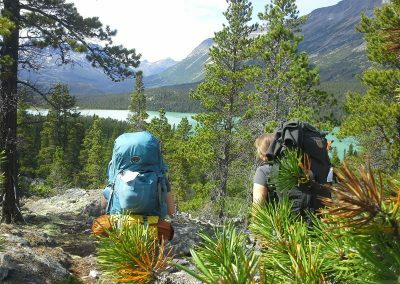 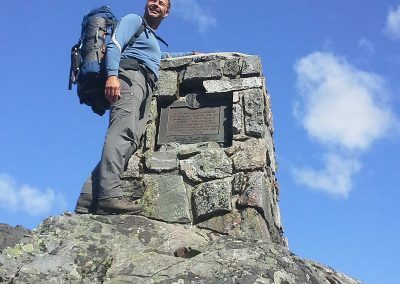 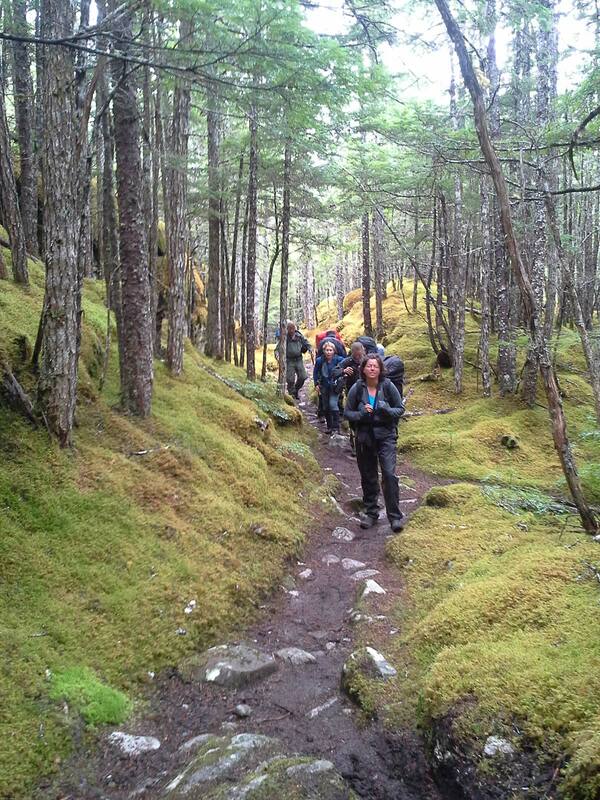 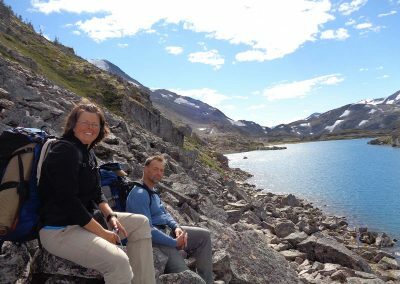 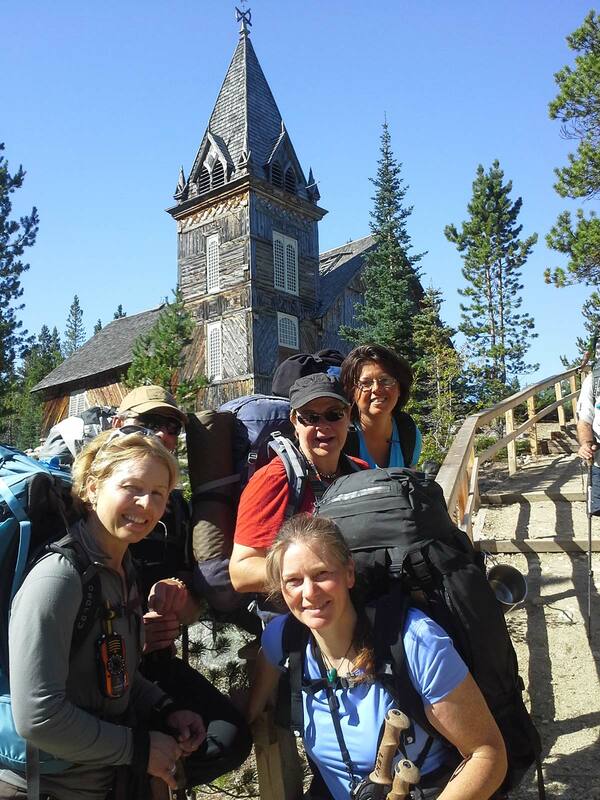 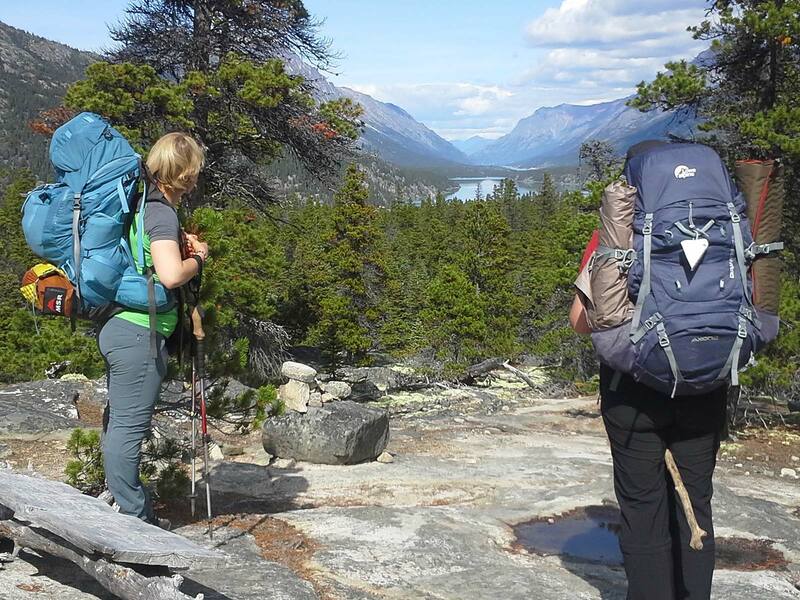 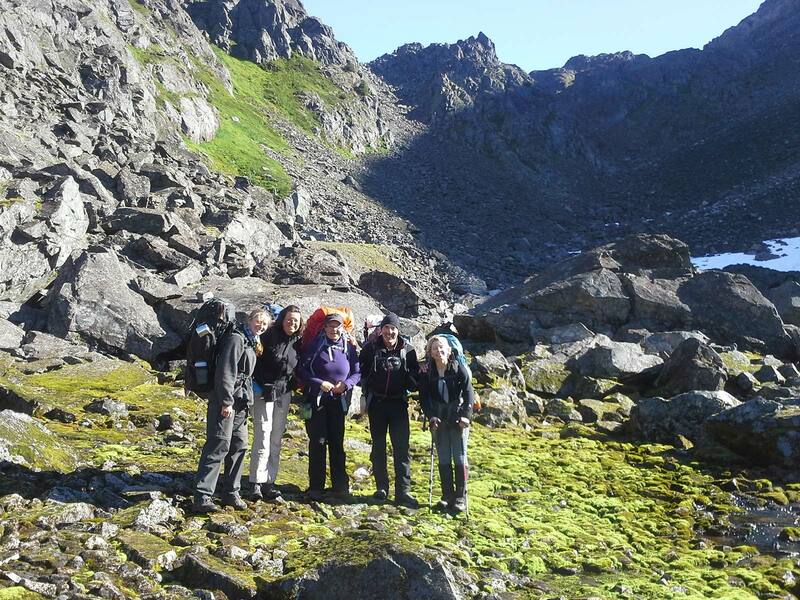 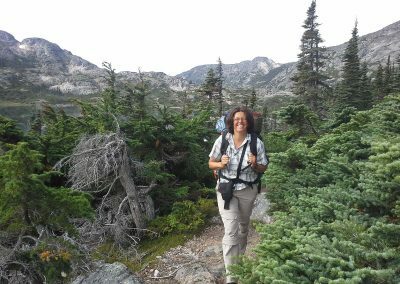 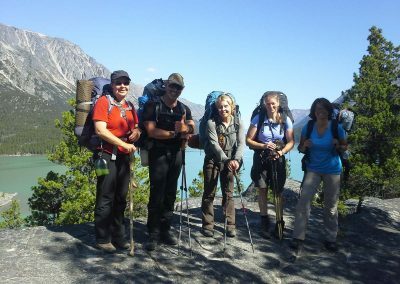 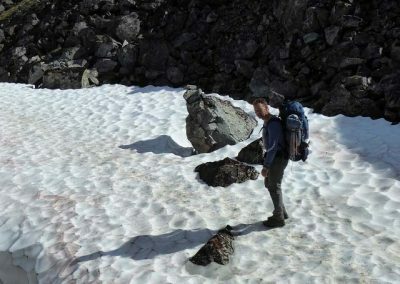 In historic Dyea, we begin our 5-day Trekkingtour on the legendary Chilkoot Trail. 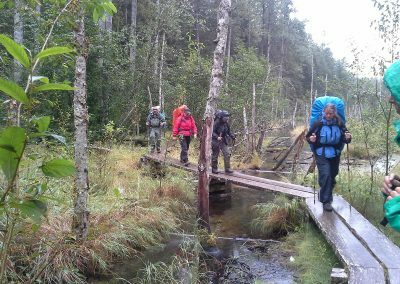 We only carry what we need during those days. 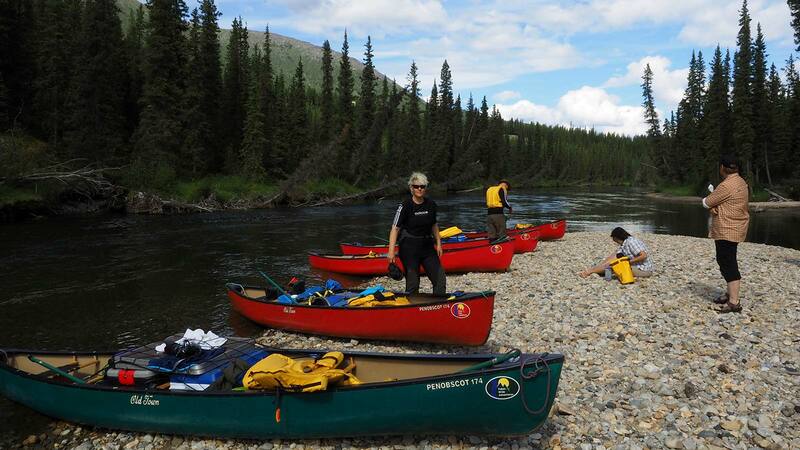 The rest of our luggage will remain in Whitehorse in our hotel. 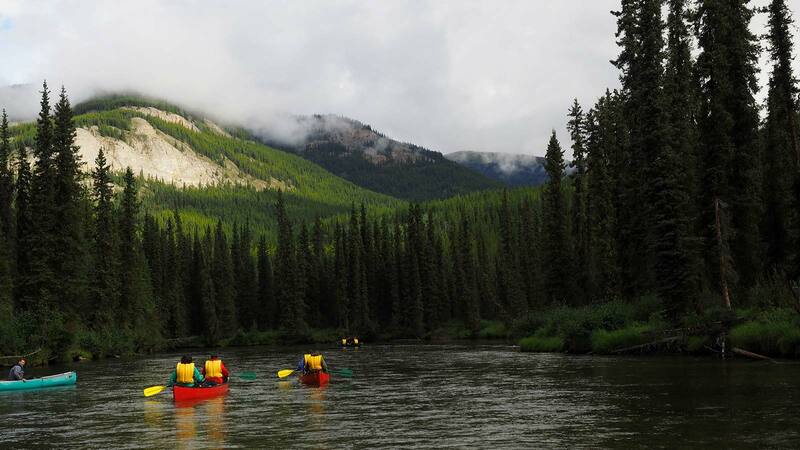 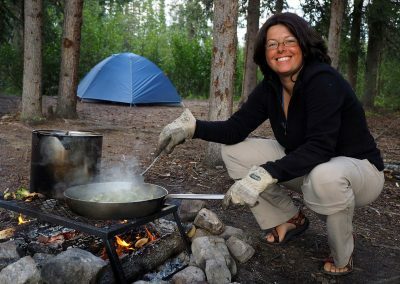 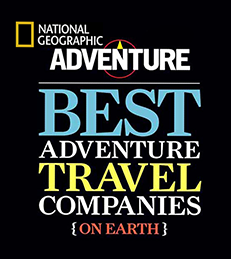 This trip is also available as a pure canoe trip or trekking tour. 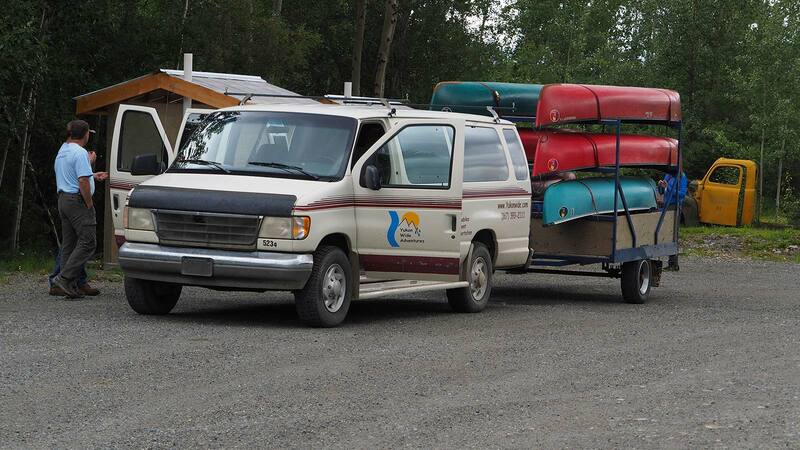 Your guide will greet you at the Whitehorse Airport and transfer you to your hotel. 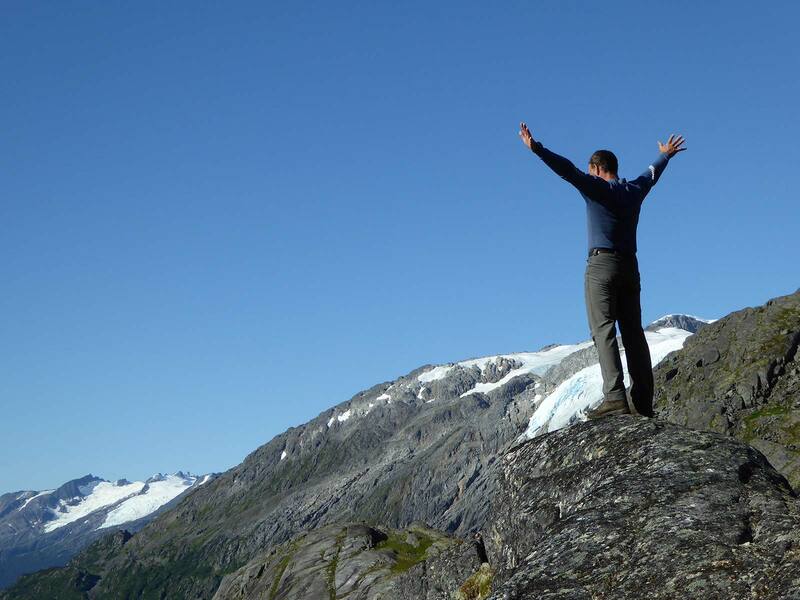 After the check-in we will meet for a tour briefing and discuss your trip details. 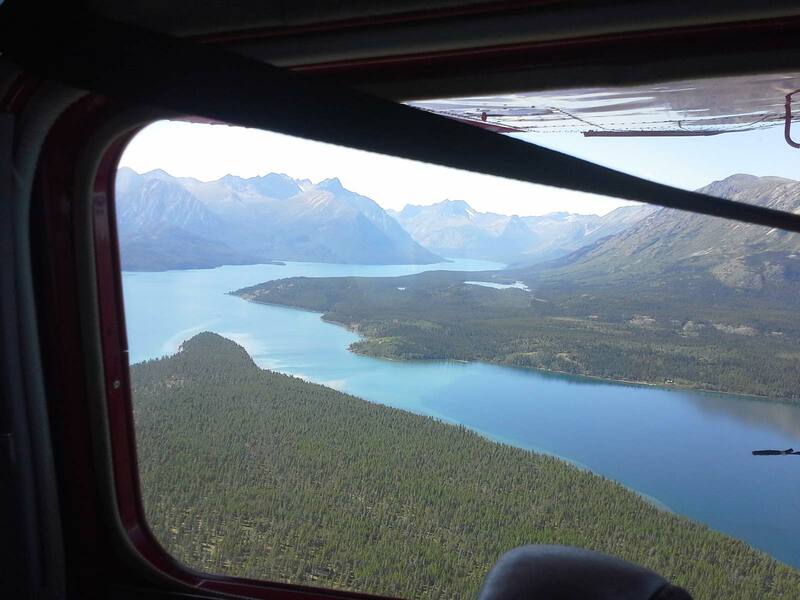 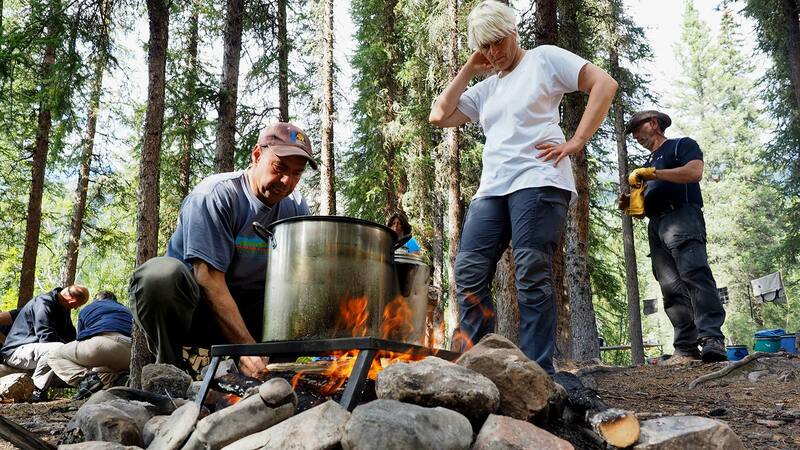 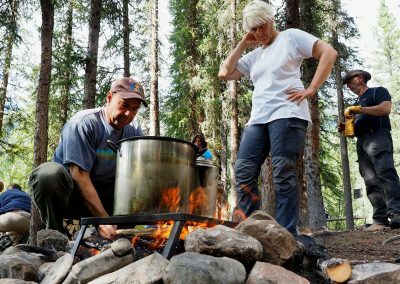 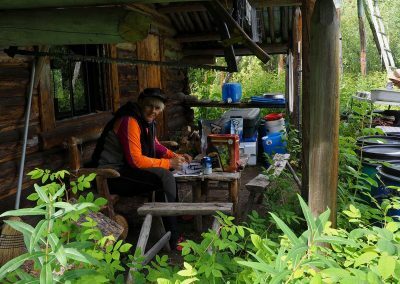 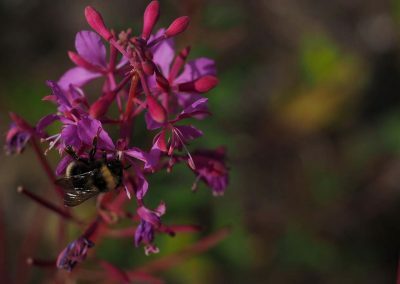 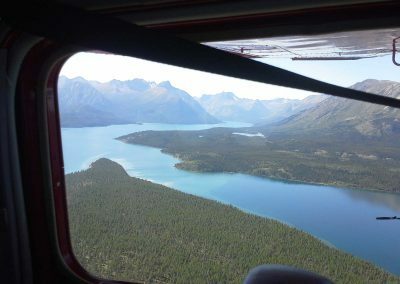 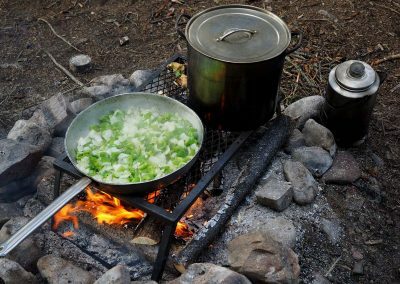 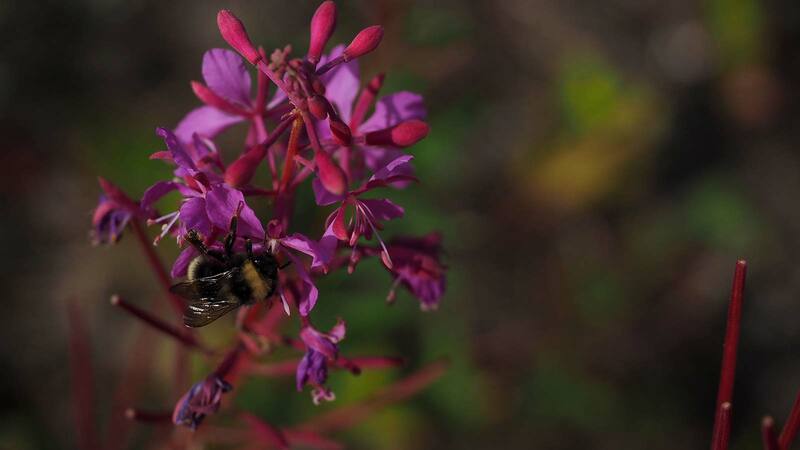 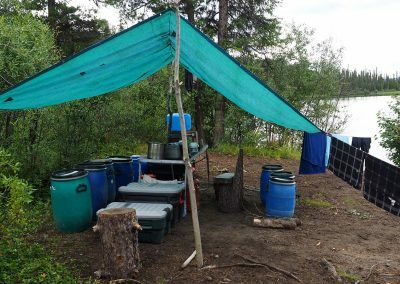 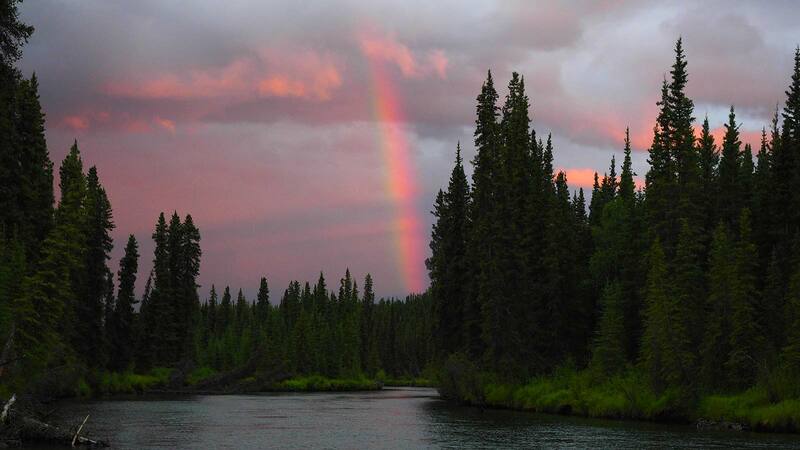 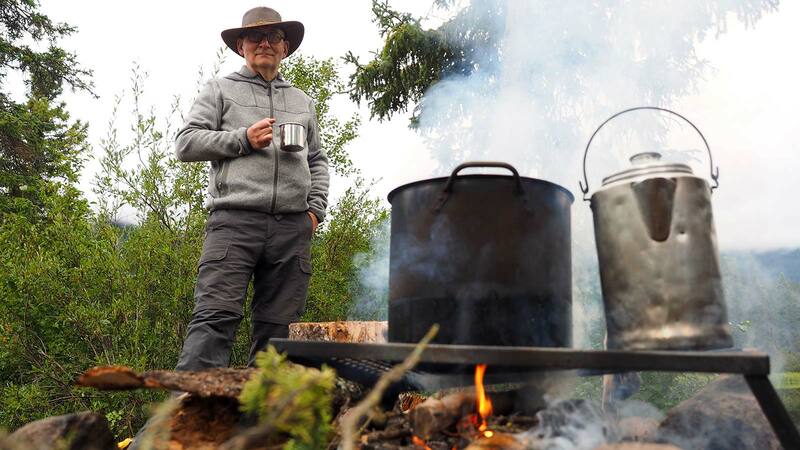 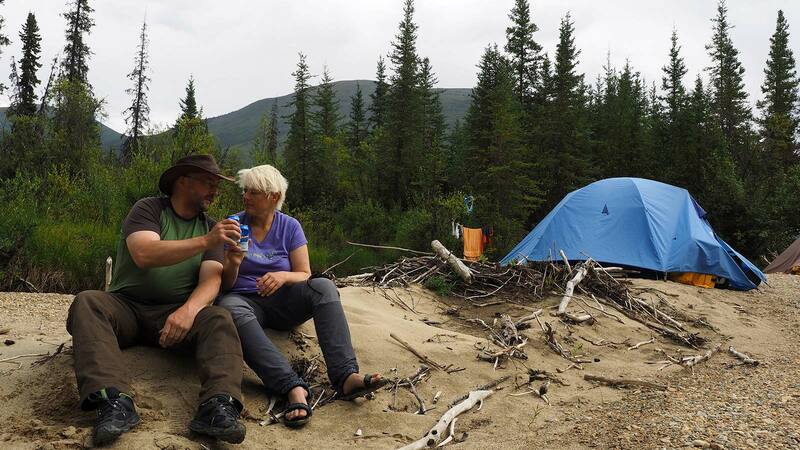 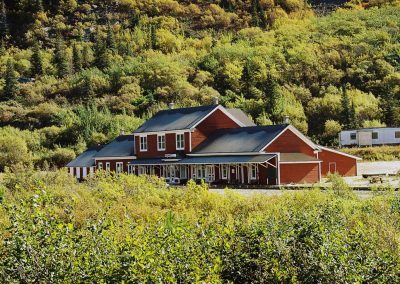 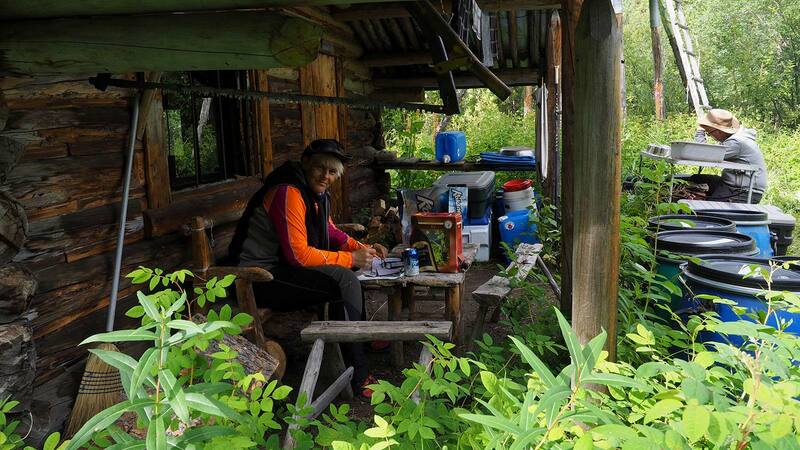 We pick you up at the hotel and drive along the Alaska Highway past Johnson’s Crossing and later on the scenic South Canol Road to our entry point on Quiet Lake. 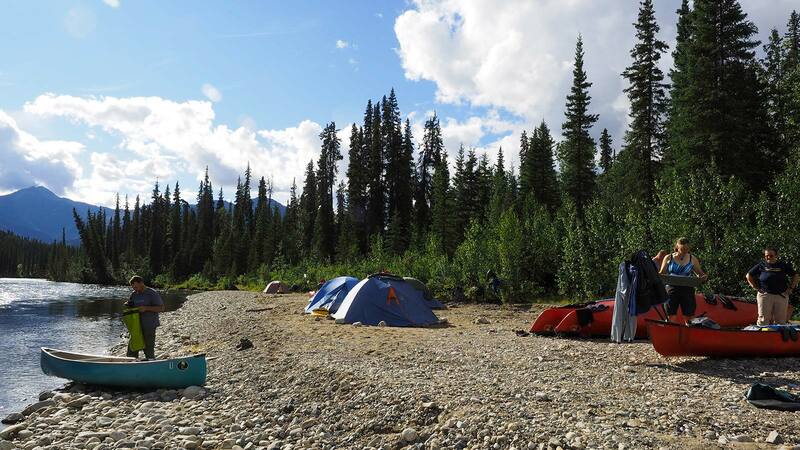 On this approximately 230 km long stage you get a first feeling for the vastness of the Yukon. 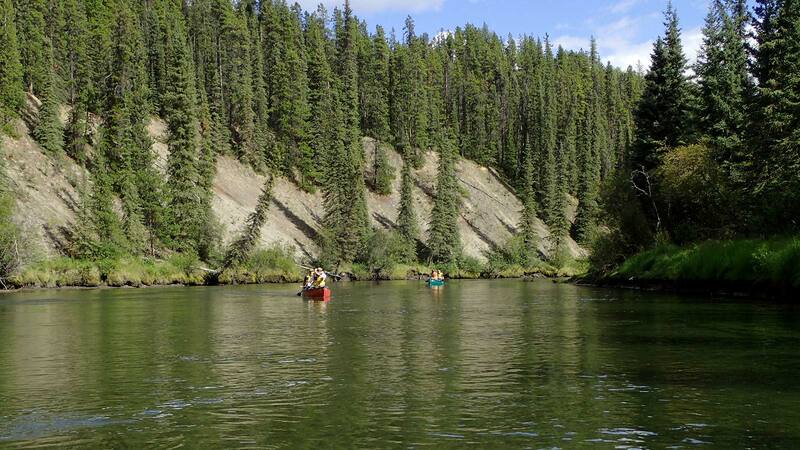 Here, away from civilization, our canoe trip begins on the Big Salmon River. 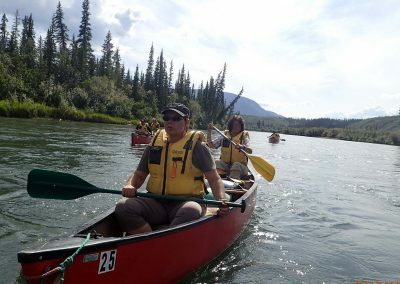 The short chain of lakes which we cross at the beginning gives us an opportunity to familiarize ourselves with the canoes. 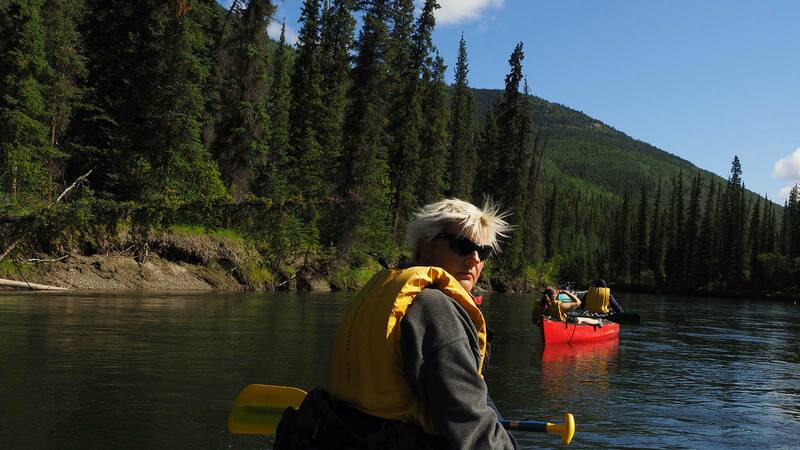 After we have left the lakes behind we reach the Big Salmon River. 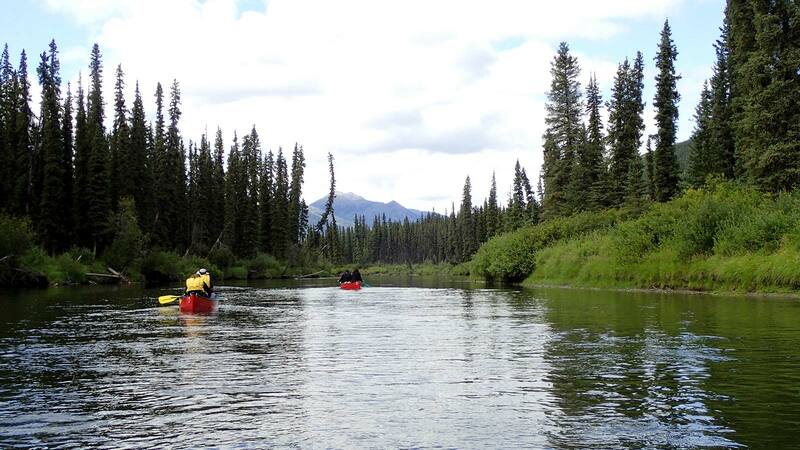 In the upper part of the narrow and winding river we are challenged by several log jams. 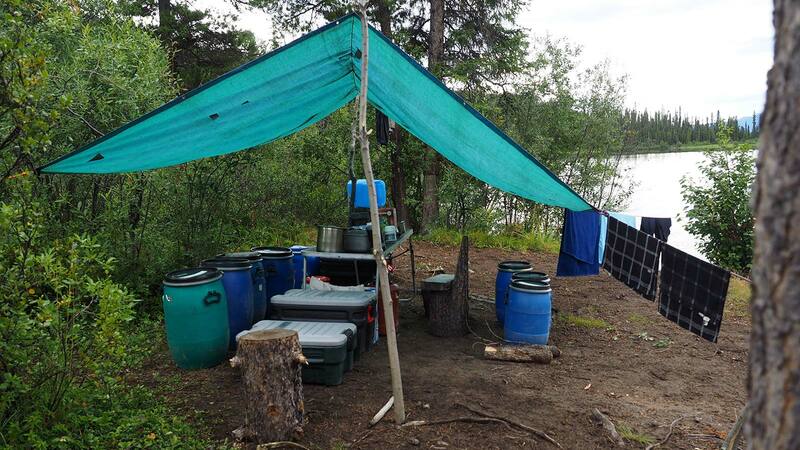 Depending on the water level, these can be easily portaged. 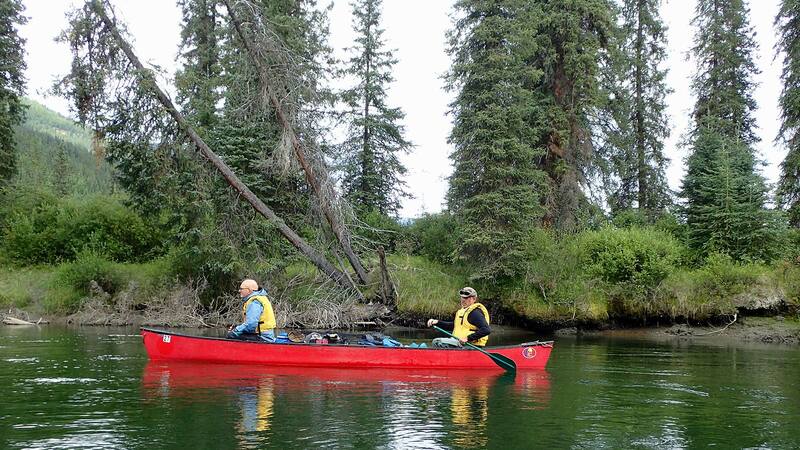 Here in the crystal clear water we can observe the King Salmon on the way to their spawning grounds from the canoe. 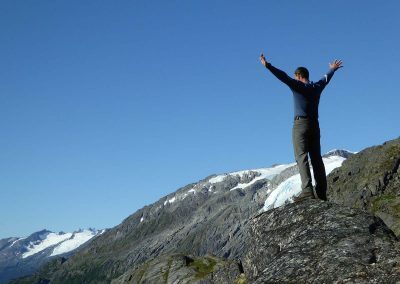 Angelsport enthusiast can now truly enjoy there passion. 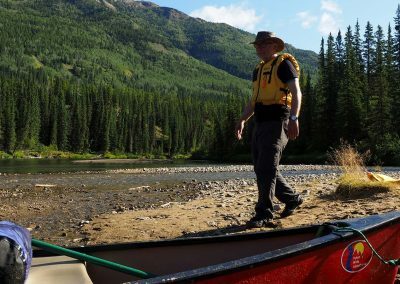 Continuing down the river the narrow curves diminish, the Big Salmon River broadens and we have enough time to enjoy the wilderness in its beautiful natural landscape. 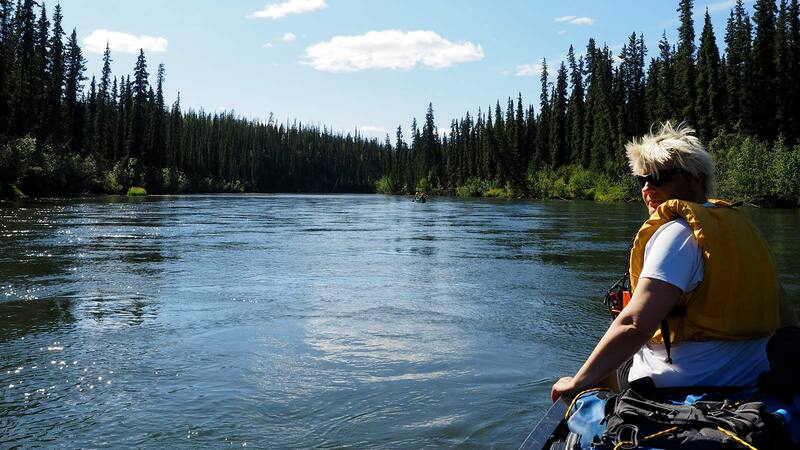 Shortly after the South and the North Fork empties into the Big Salmon River, we reach the historic Yukon River. 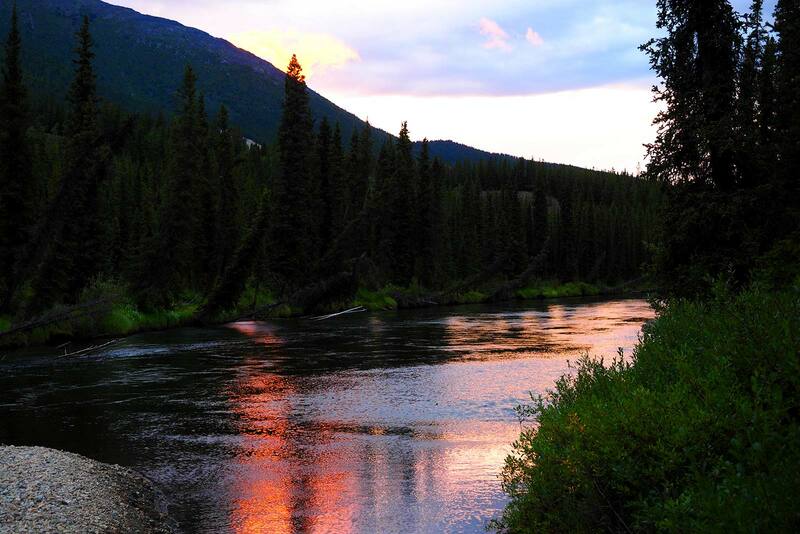 Here we will see traces of the Klondike Gold Rush, the historic settlement – Big Salmon Village. 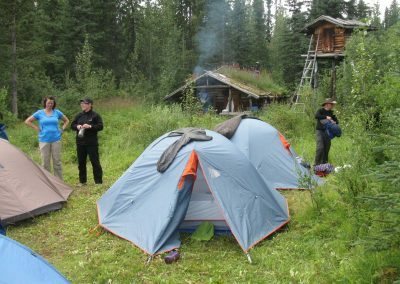 During the next three days on the Yukon River, we see more often the remains of old log cabins and former trade stations. 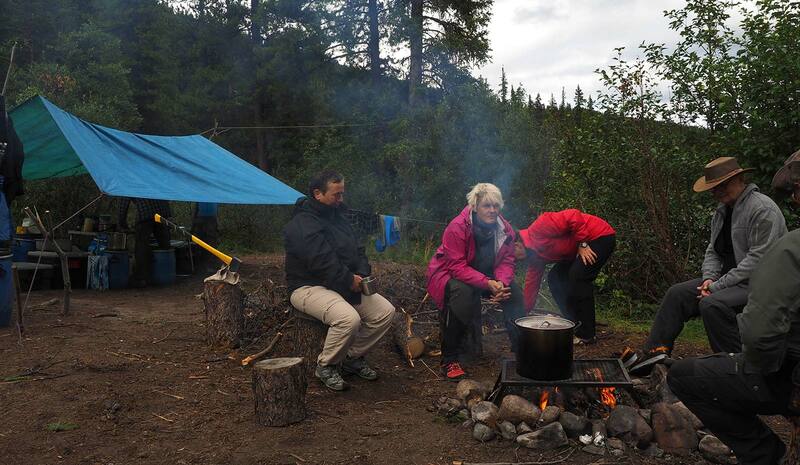 At “Cyr’s gold dredge” we stop for a lunch break and try to pan for some gold flakes. 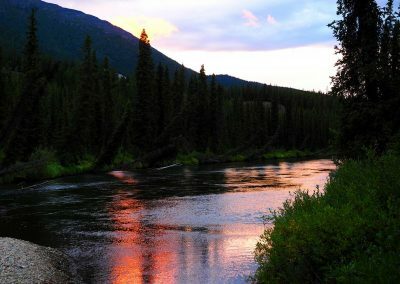 The river bank glimmers in this area for gold – usually pyrid, also known as Katzengold. 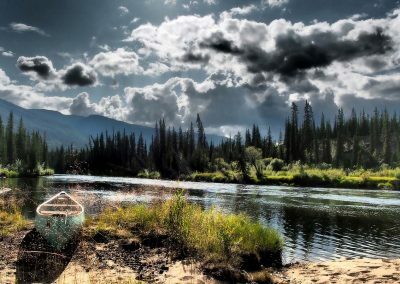 At Little Salmon Village, a Fist Nation fishcamp, we meet again for the first time civilization. 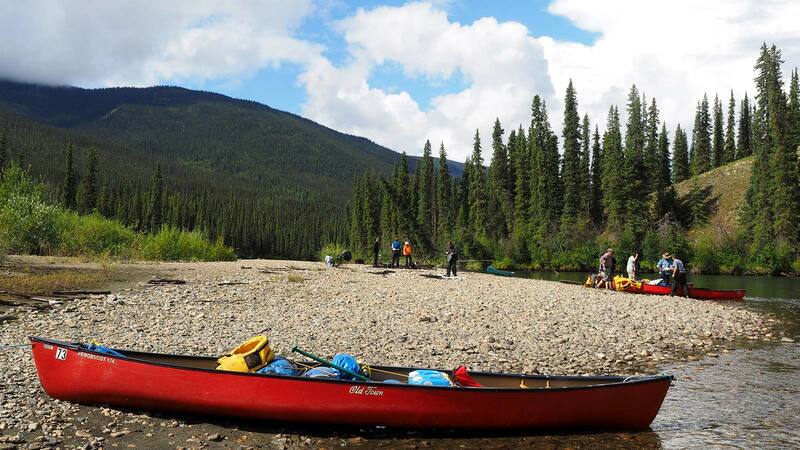 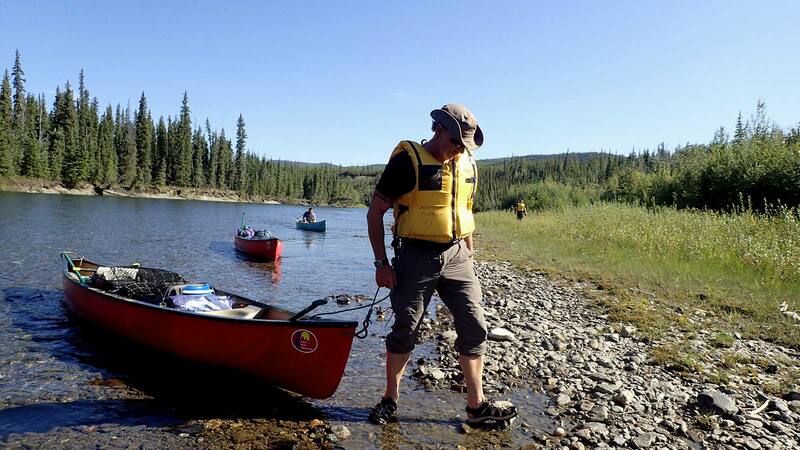 In the next two days we will reach Carmacks, the end point of our canoe trip. 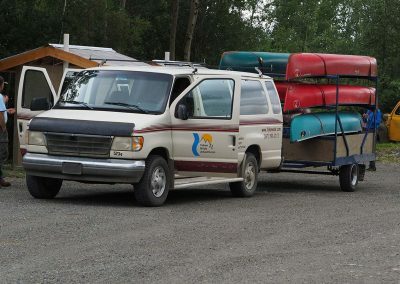 After loading the boats on the trailer we will drive over the Klondike Highway back to Whitehorse. 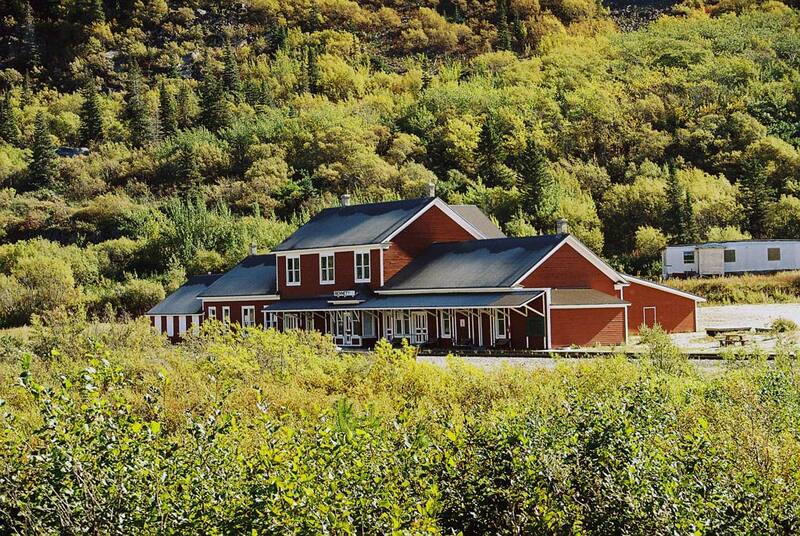 Arriving in Whitehorse we check-in at our hotel. 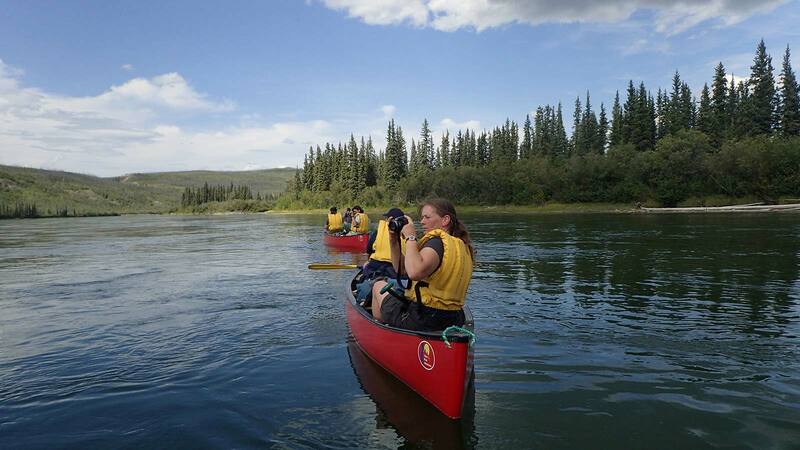 Today we have time for a shopping and sightseeing tour in Whitehorse. 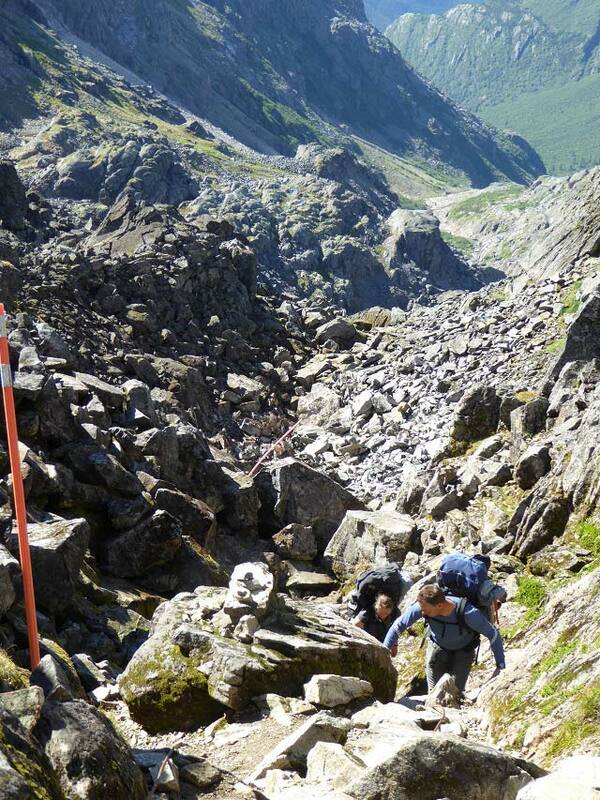 Your guide will be happy to give you some tips. 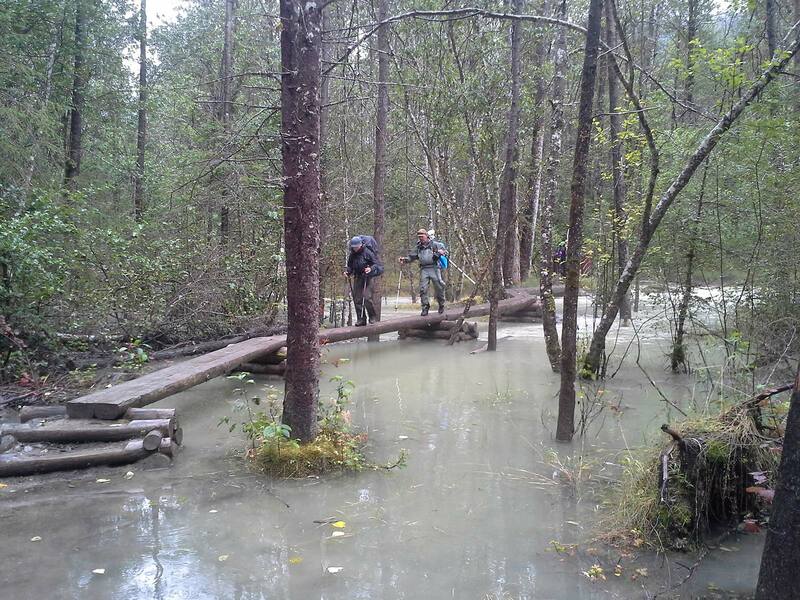 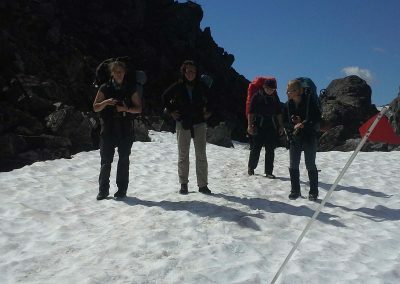 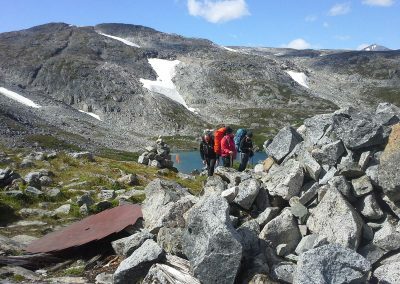 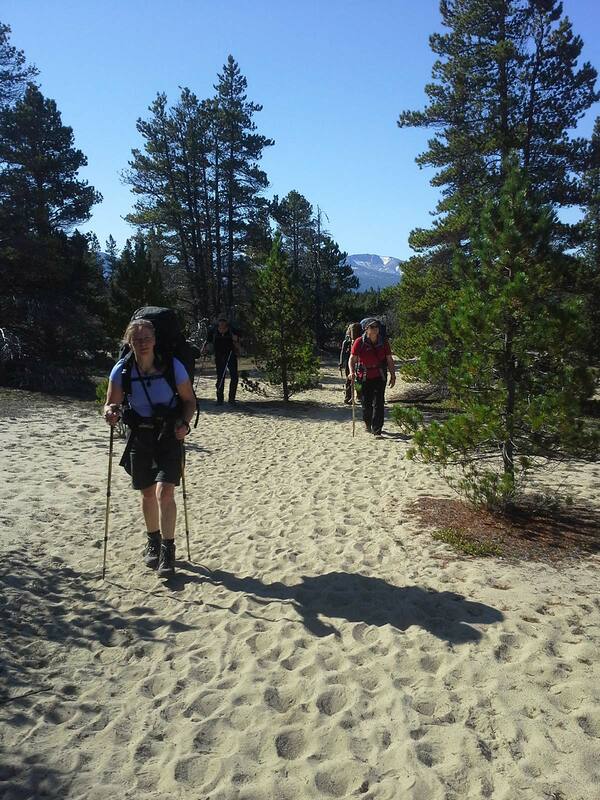 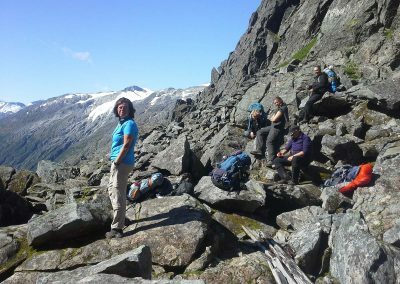 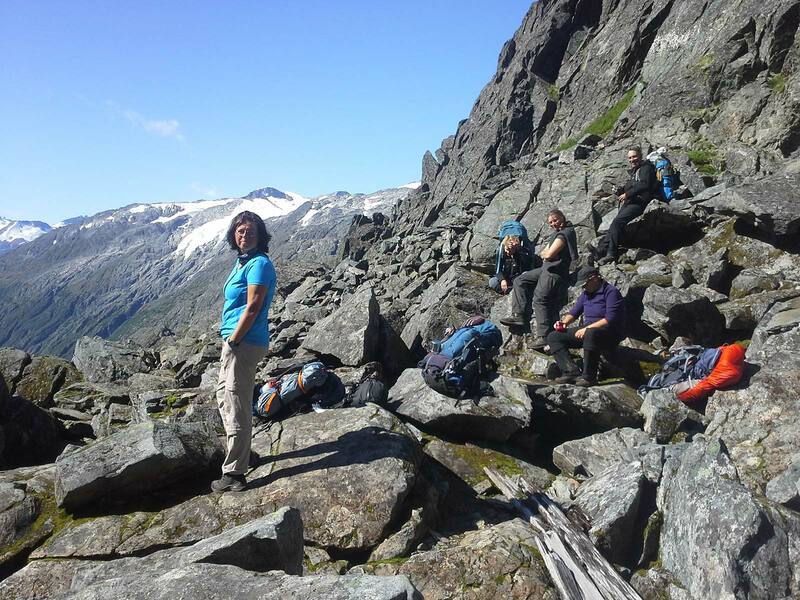 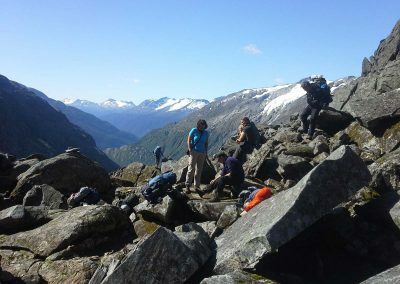 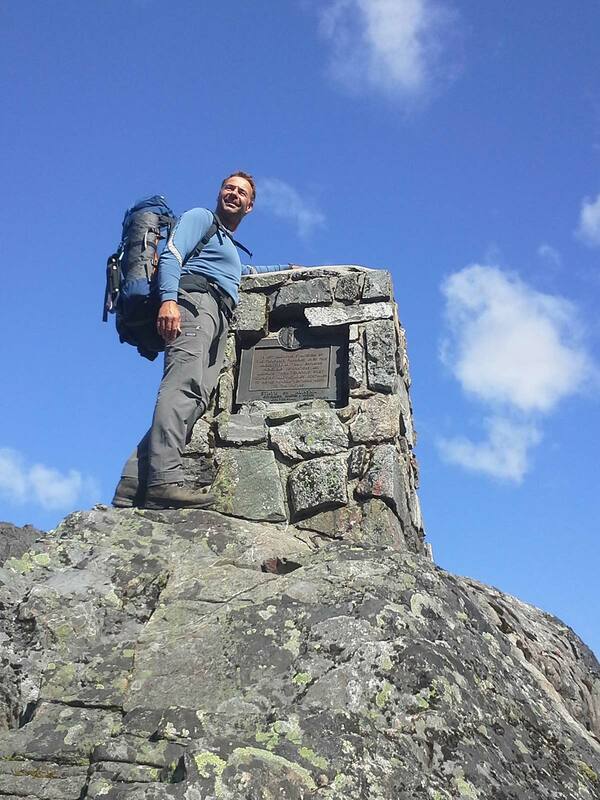 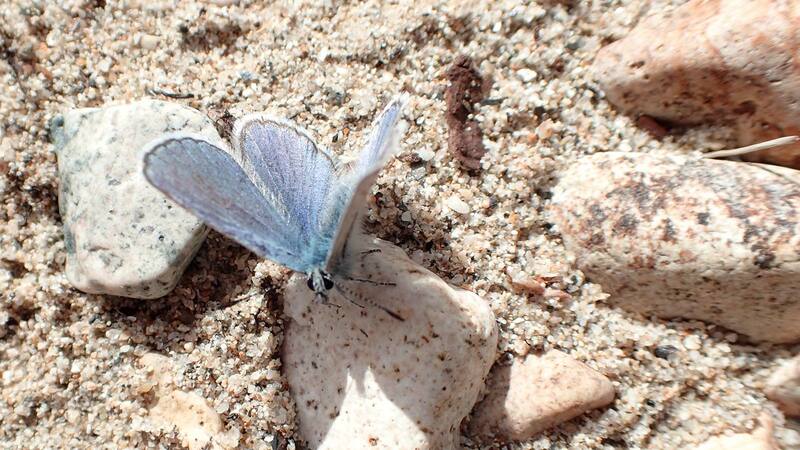 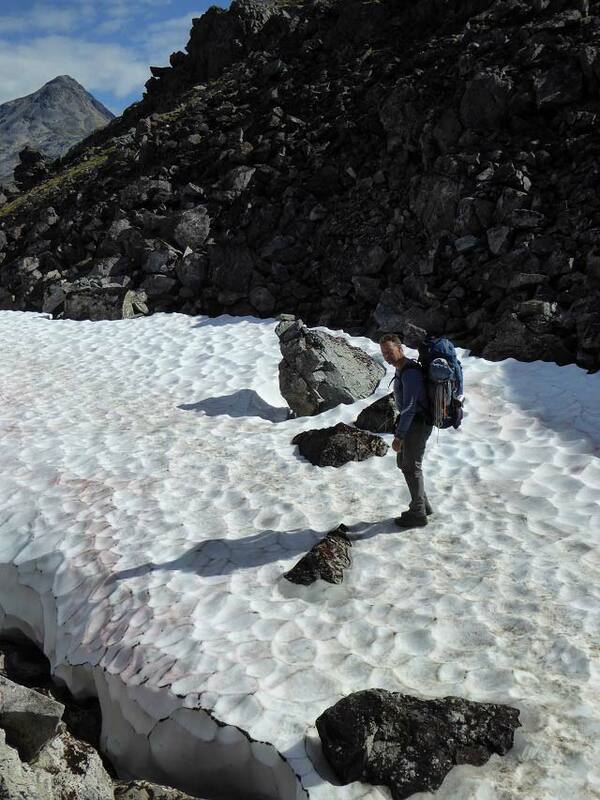 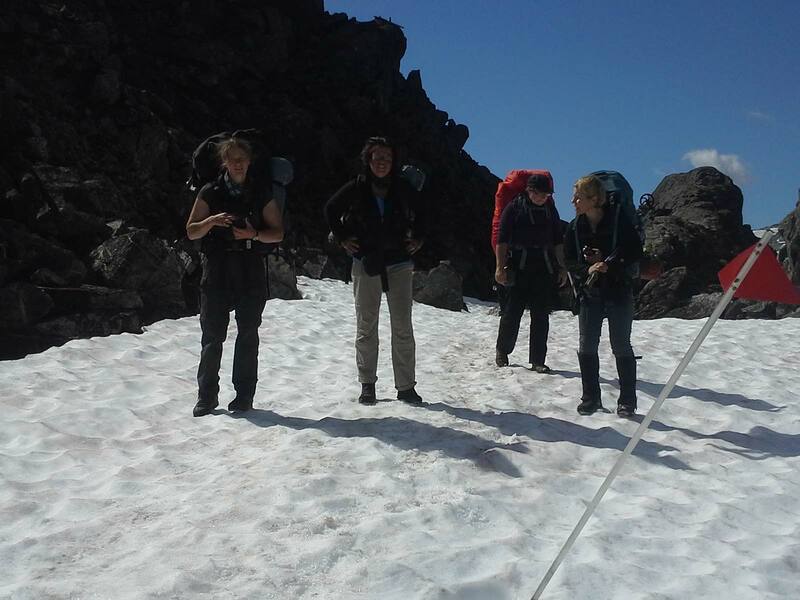 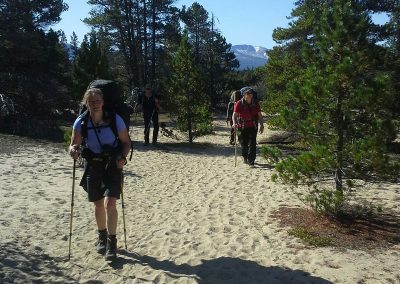 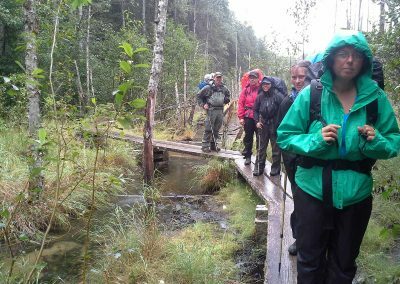 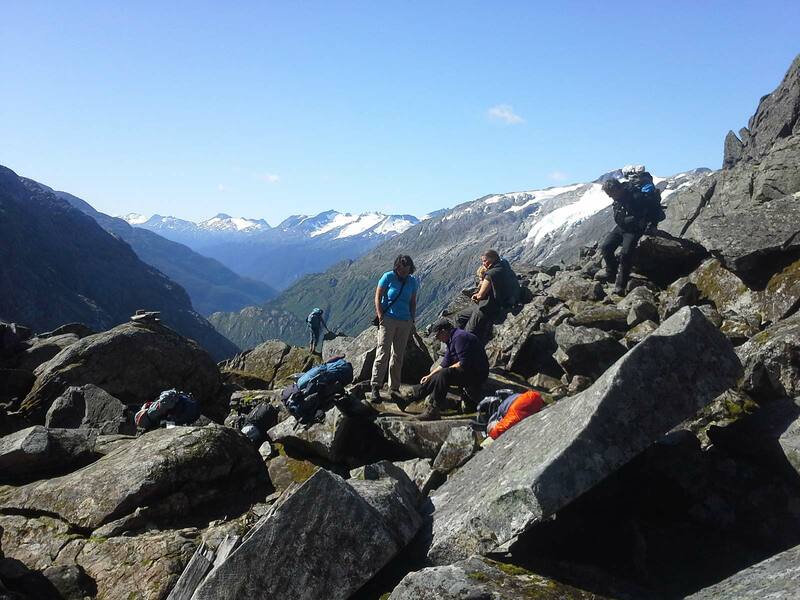 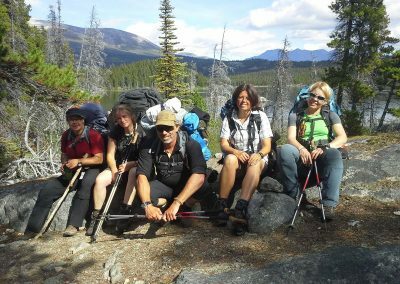 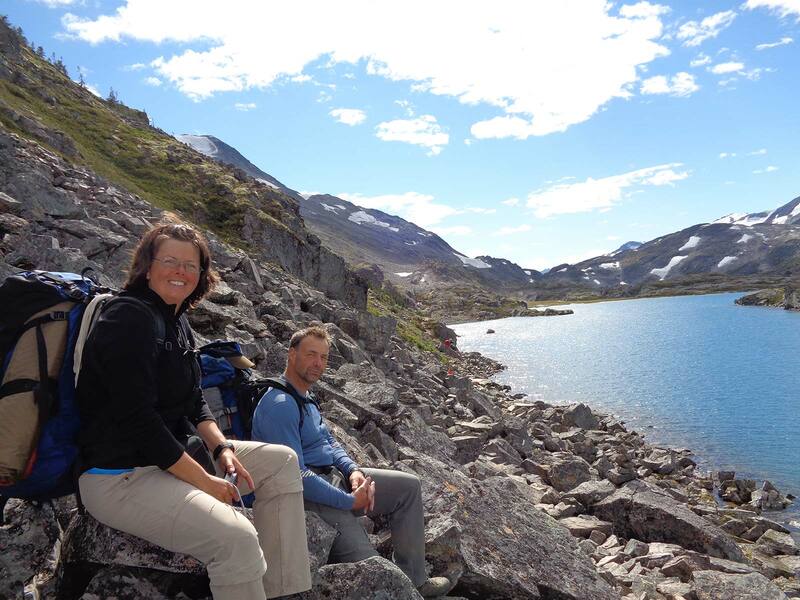 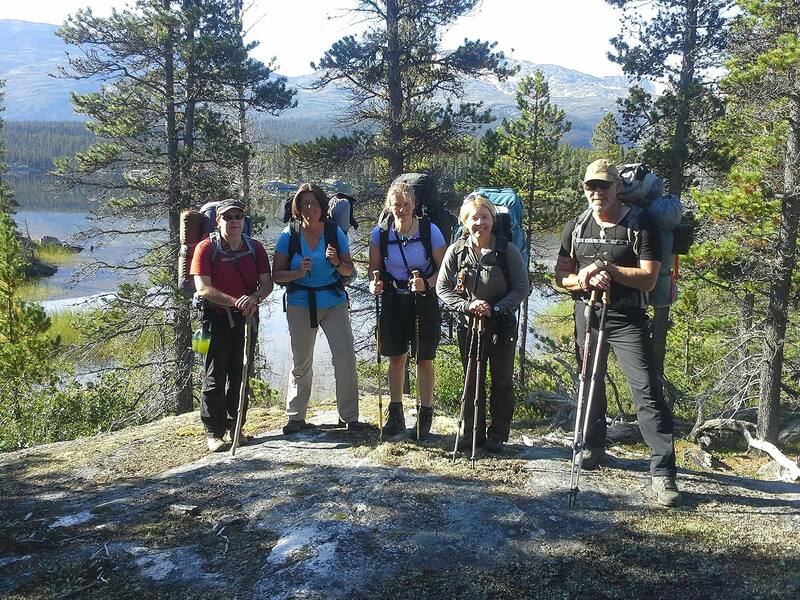 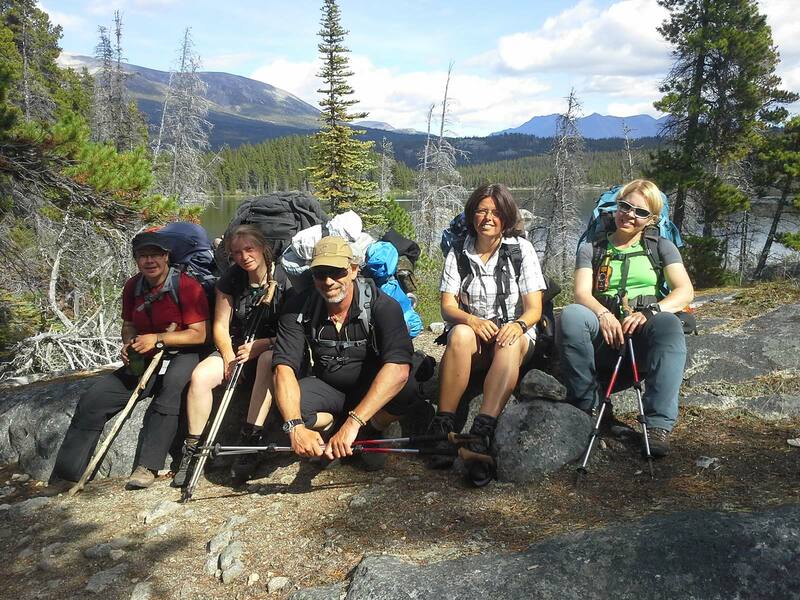 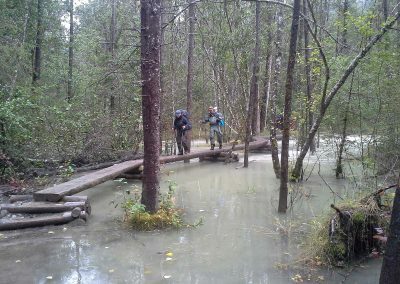 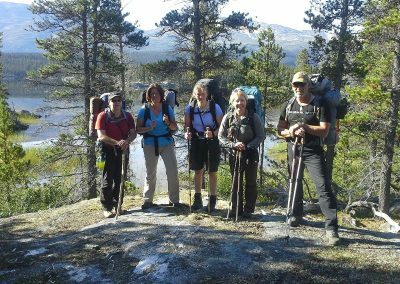 In the afternoon, we will prepare for the upcoming Trekkingtour on the Chilkoot Trail.